Welcome to SÖKTAŞ, home of fabric excellence. 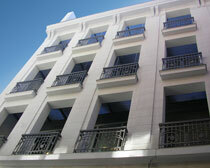 with exceptional fabrics delivered with impeccable service. Luxury at Every Level is embedded in our entire approach to the services we offer our customers. 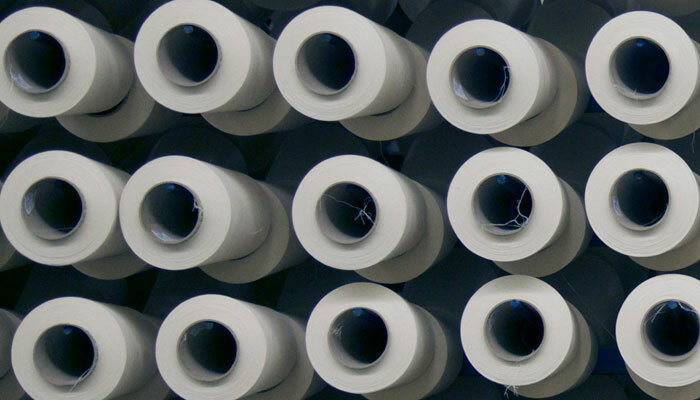 Fast Turn-Around on even super-premium lines is made possible through an unmatched selection of in-stock fabrics and an automated, highly efficient order system. One-Off Exclusive Collections cater to the high fashion market which demands exclusivity. 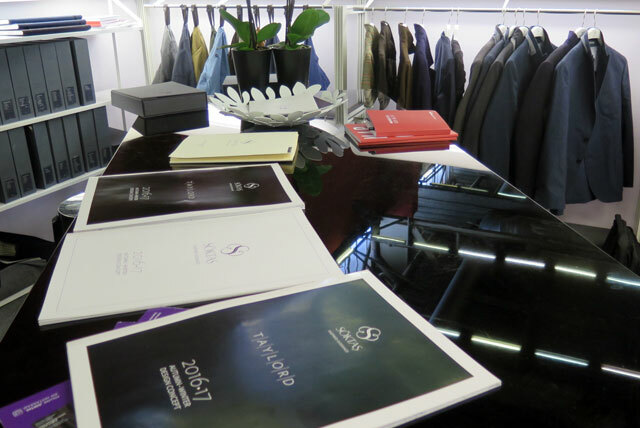 Bespoke selection meets the needs of individual tailors globally. We offer a range of Intelligent Finishes, offering contemporary fabric finishing options, available for almost every fabric. Our designers constantly anticipate future demand and design and create accordingly. That means our in-stock collections stay ahead of trends and are at the forefront of the industry. They offer an unmatched selection of updated classics and ‘right now’ designs and colours. ‘make to order’, so turn-around times are greatly reduced and, with a completely automated order- to-delivery process, we are able to offer lightning fast delivery on a vast amount of fabrics, including super premium lines. 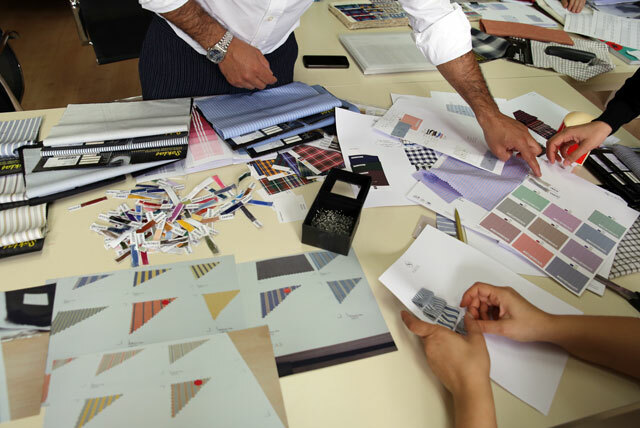 we have dedicated design teams assigned to create seasonal collections for individual fashion houses. Thousands of designs in our archives are available to view for inspiration as each collection is jointly conceived. No two collections are the same in design, weave, content or colour story and each one is exclusive to the fashion house for whom it has been designed, with exact quantities made to order. 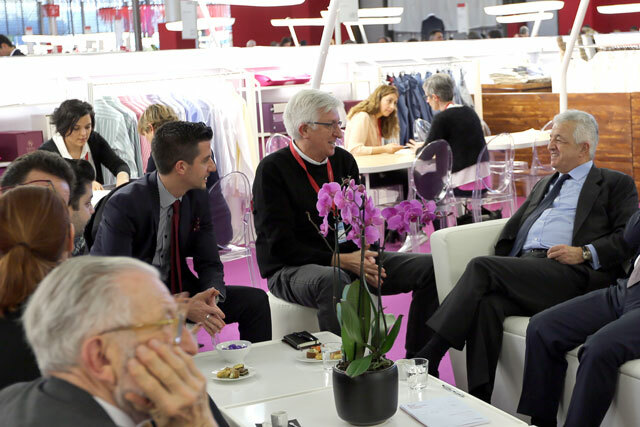 This service is how we have developed long-lasting and committed partnerships with some of the biggest names in the fashion industry. 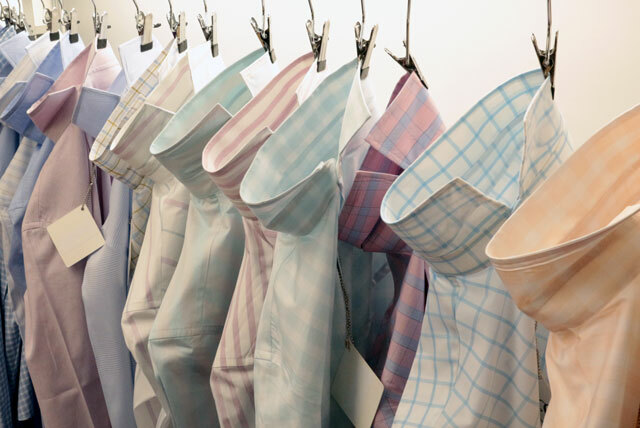 We cater to the personalised tailor-made shirting market around the world with a super-premium line of fabrics that can be ordered for individual customers in quantities as small as a single shirt length. Fabric selections for this market are made not only from the world’s finest Egyptian Giza cotton but also from the purest and longest fibres that produce fabrics of unparalleled softness. Want to know more? Our Sales Team is waiting to hear from you. in a far superior performance to traditional non-iron finishes. 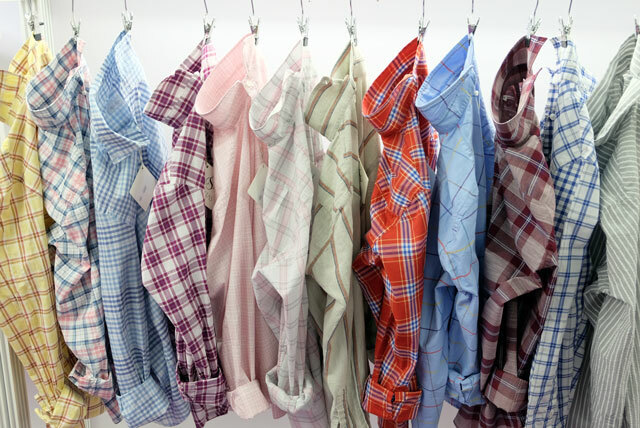 Cotton and cotton blended shirtings that are in tune with current trends and ahead of upcoming ones. These premium to super-premium fabrics are in styles that range from silky and sophisticated to classics with a twist; from casual, sporty chic to ingenious, environmental chic. 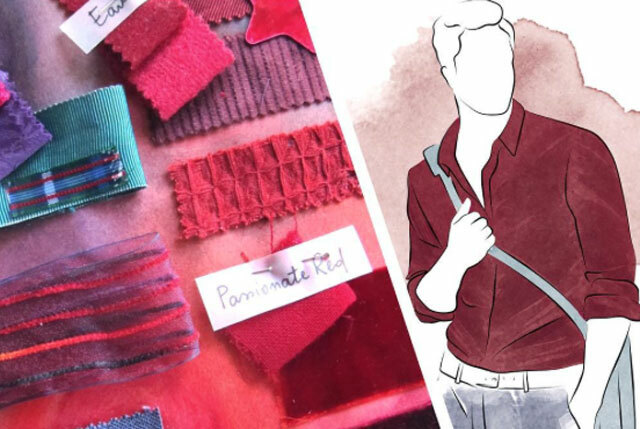 Colours and textures are ‘right now’ and answer the question for today’s every look, story, feel and finish. A collection made from fine Egyptian cotton using a double twist, compact yarn and blends with linen, cashmere and silk that’s delightfully comfortable to wear. 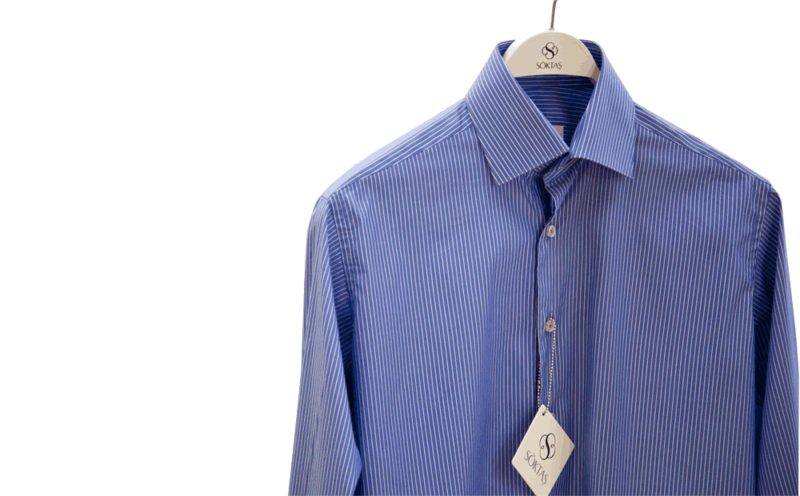 Designs offer options for formal, informal, urban and casual business wear. Available in a wide range of patterns, a variety of finishes and always in this season’s colours. of handles for the most discerning of customers. Made entirely from Turkey’s first long staple cotton developed by Söktaş, a strong, fine and silky fibre that rivals most of the finest Egyptian Giza varieties. Available in seasonal colour stories and patterns in addition to the classic styles that are always in stock. in sophisticated simplicity with subtle differences in weave and finish. A collection of premium cotton and cotton blends in timeless black and white, expressed in the most popular weaves of the season. A collection for young-at-heart customers looking for a relaxed and stylish casual look and feel. This range offers a variety of premium cotton, cotton blends and sophisticated yarns in current season bright colours, stripes and checks. On offer are comfortable, sporty fabrics that range from clean wash to denim in a variety of great feeling weaves and finishes. A brilliantly conceived premium collection that combines eco credentials and enduring quality of SÖKTAŞ through use of certified organic cotton blends and recycled cotton. Stripes and checks are in muted colours that create a soft, natural transition of tone and pattern. A collection that translates the vision of environmental responsibility into the artistic realisation of desirable fabric. The Noblesse catalogue is a showcase of our super-premium collections of exclusive classic designs in the ﬁnest Egyptian Giza cottons in yarn counts of Ne 300/2, 240/2, 200/2, 170/2 and 140/2. A blissful blend of super-fine Egyptian cotton and luminous silk that gives this collection a subtle, natural shine and luxurious fluidity. and colours that are always available in addition to a collection of seasonal variations. 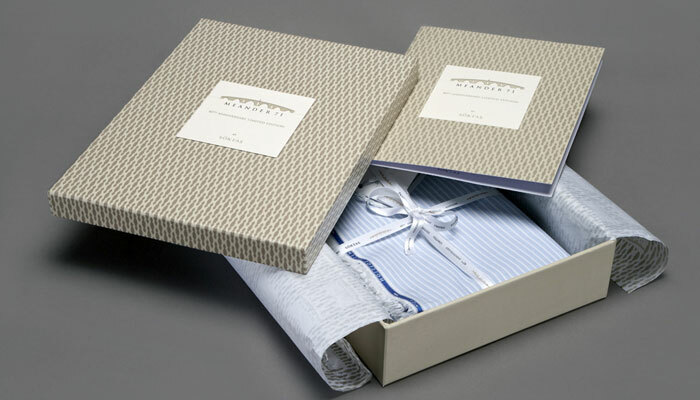 Three books of classic shirtings, from 100% Egyptian cotton, organic cotton and various cotton blends including with silk, linen and elastane for comfortable stretch fabrics in men’s and women’s styles. All available in an abundance of designs and rich colours. The new books also offer our new “Traveller” range, which is designed with 'travel 'in mind. Under the “Traveller” range we want to make life easier for you by keeping your shirt clean and crisp all day long through your hectic schedules with 'Non Iron' , 'Easy Care' and 'Flat Finishes' which offer wrinkle-free and stay-fresh alternatives without ammonia. Essentials, luxury fabrics with timeless and elegant designs. Modern Classic, timeless classics with exquisite designs. executed fabrics in line with current trends. A special collection of exclusive designs in classic colours and textures created for customers offering made-to-measure shirts. These are high-end fabrics made from the finest Egyptian Giza cotton, with only the purest and longest fibres selected to be spun into extra-fine yarns. The emphasis in this collection is on yarn, weave and craftsmanship in classic styles and colours. These are premium and super-premium cotton and cotton blended shirtings that are designed for the spectrum of formal and informal occasions. Designed for that impeccable evening (or morning) shirt, weaves in this range are a perfect combination of classic style and modern designs. Two fold 100% super-fine cotton yarns ensure these fabrics retain their brightness and softness, even after washing. The colour stories here are traditional for important events across the globe - from white, cream and black through to grey and silk. Developed and designed for jackets and trousers that meet the growing trend for a new, more relaxed style of urban clothing. 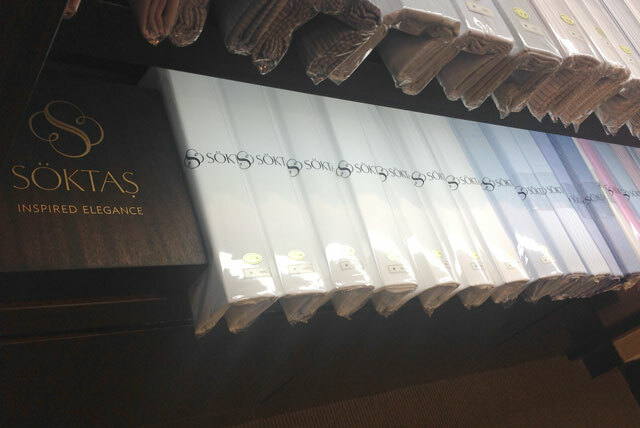 Fabrics range from 100% cotton to cotton blends that include cotton and wool, cashmere, silk, linen, elastane etc. Each has been designed to work for both lined and unlined jackets and blazers and for trousers that fit perfectly, whatever shape the season takes. A collection of the finest cotton with wool and cashmere fabrics for the cooler seasons. For the warmer seasons, the blends are fine cotton with linen or silk for a look and feel that is contemporary, light and versatile yet retains a semi-formal, citysmart look. 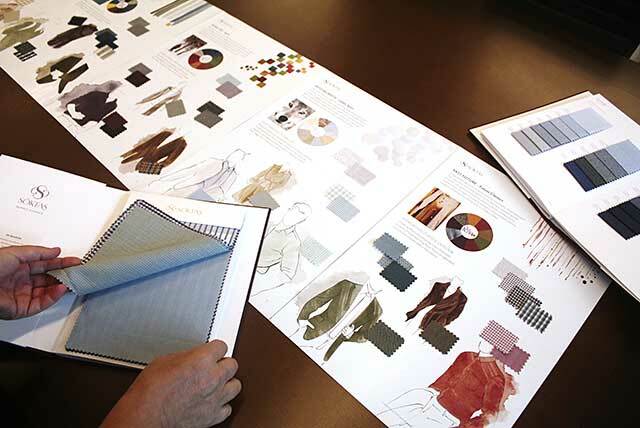 Fabrics are breathable and perfect both for tailored jackets and unstructured styles without lining. The light and airy design centre at Söktaş is more like a gallery of modern art than part of a textile mill. Delicate sculptures made of industrial materials by university students stand on plinths scattered around the groundfloor area. Coloured rolls of yarn line glass and metal tables, punctuated by pictures distributed about the place, looking like exhibits in their own right. Thousands of archived cloth samples hang in rows along the second storey gallery like a library of coffee table books. But the hushed bustle of the designers and technical staff, busying themselves at their computers or seeking inspiration from archives, shows the building to be the living, working focal point of a company at the front of the Turkish industry. From “Moving on Up” by Suna Erdem in DNR magazine. Our design showroom is located in Istanbul, in the sophisticated, cosmopolitan district of Pera, with its rich cultural heritage reflected in many of our designs. A highly-developed IT system allows our design team there to work on-line with the organisation’s headquarters in Söke via a Computer Aided Design service. Over 300,000 fabrics are stored in our archives, providing a wonderful resource and ongoing inspiration for new and classic design solutions. To keep us ahead of trends, Research and Development is a critical element of our business. In fact, we are one of only a few companies in the country - and one of only a handful in the textile industry - to be granted a Government granted and supported R & D License. Our R & D department encompasses 3 dedicated sections and over 40 staff, many of them constantly engaged in sustainability, efficiency and creative projects. 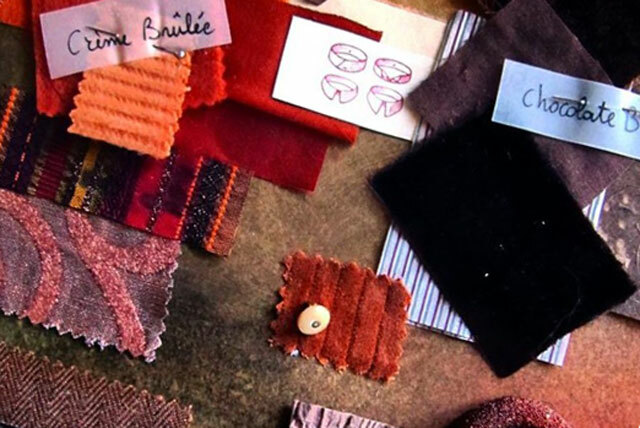 fabrics to the maintenance of bio-diversity in soils and production systems; from development of innovative fabric finishes that perform better than industry standards, to the up-cycling and re-cycling of yarns. 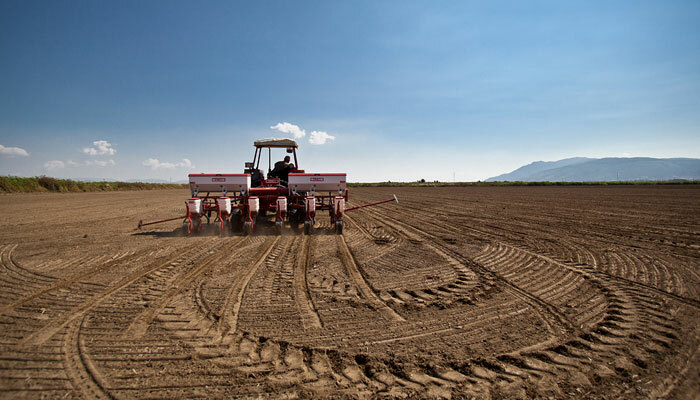 One of the biggest projects to date was that of Meander 71, one that began in the soil with the development of a new hybrid cotton seed and finished with a fabric to rival most of the Egyptian Giza cotton. We are a company that combines creativity with a customer-focused approach, a wide range of fabric collections and many value-added options. Our co-operative work-with-the customer design philosophy and our deep know-how in the technological and process aspects behind premium cotton fabric production gives our customers the results they want and gives us a portfolio of customers around the world who put their trust in us season after season. Of the many R & D projects we undertake, none exemplifies our commitment to exceptional fabrics better than our development of a brand new variety of cotton. 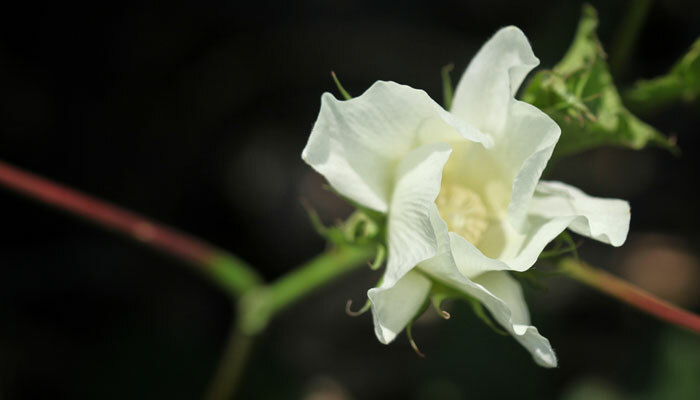 This was a long-term project, undertaken in partnership with the Cotton Research Institute of Turkey, culminating in a new plant that produces exceptionally strong, fine and silky fibres. Meander 71, which we grow ourselves, gives us a yarn to rival most of the Egyptian Giza varieties, which we use in special, limited release lines of super-fine cotton fabrics. 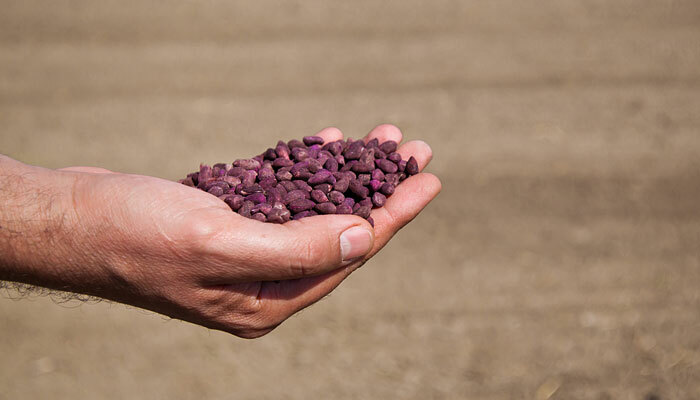 Sown on our founding family's fertile fields in the heart of Söke region, Meander 71 was born out of an outstanding innovation project performed by SÖKTAŞ. 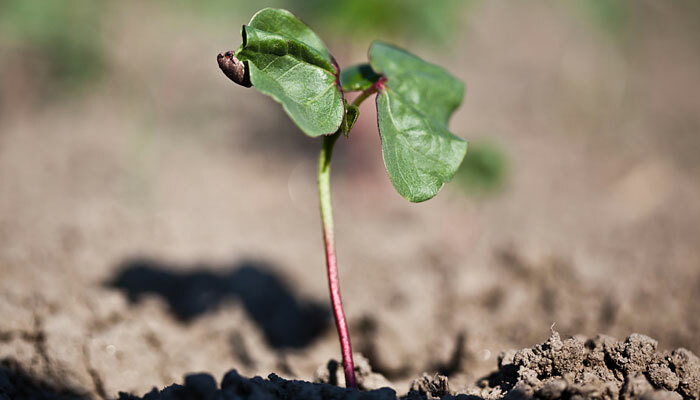 The first signs of life... Our land cherished by the healthy cotton seedlings. 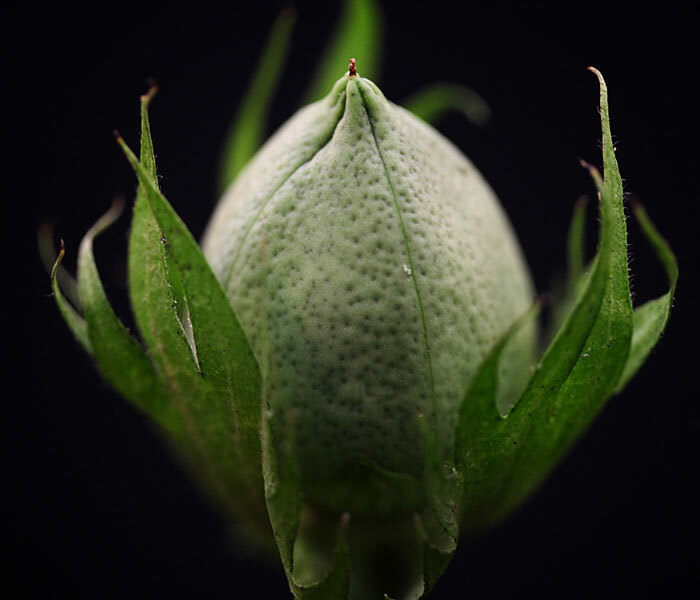 A precious cotton boll... Our very own high-end cotton is growing as the symbol of top quality Turkish yarn, assuring that it's legacy will be long lived. White gold... 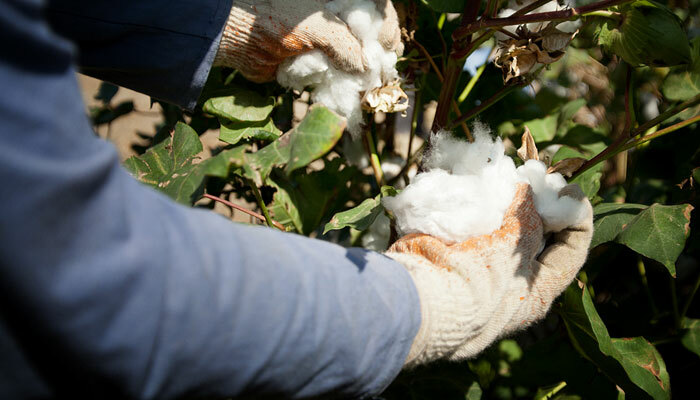 Innovative and effective R&D project gives us the opportunity to control the entire production cycle for complete traceability regarding Meander 71 cotton. Long fibre is never a short story... Finally our own “long staple cotton” blessed us with a unique yarn, which is soft as silk but also has the durability of cotton. Harvesting our precious Meander 71 cotton... This is a significant success for our company and prosperous celebration by nature. Getting into shape to create fine Meander 71 yarn. Meander 71 is getting finer and silkier at each step with total precision defined by SÖKTAŞ. Finally the combination of genetic superiority of Meander 71 seeds and the highest production quality of SÖKTAŞ create this finest, silky and durable yarn. Long story short ... 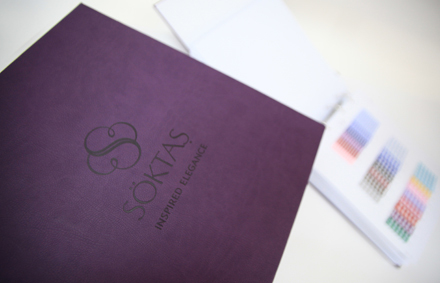 The fascinating journey of a precious little seed from fertile fields to fabulous fabrics... now being distributed by SÖKTAŞ all around the world to inspire most discerning customers for natural elegance. We are proudly participating in BBI project as partners for Neocel developments. 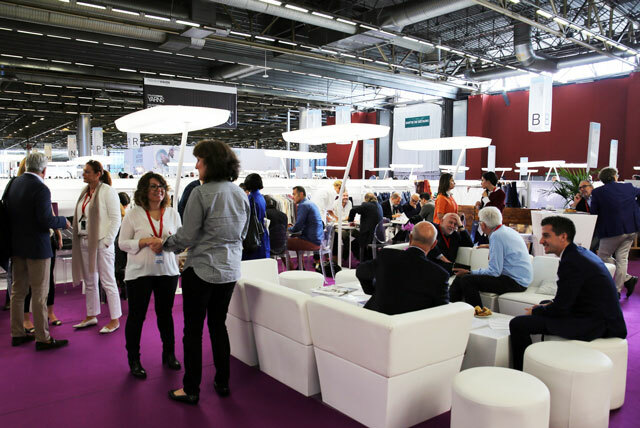 The BBI is dedicated to realising the European bioeconomy potential, turning biological residues and wastes into greener everyday products through innovative technologies and biorefineries, which are at the heart of the bioeconomy. The Bio-Based Industries Joint Undertaking is a new €3.7 billion Public-Private Partnership between the EU and the Bio-based Industries Consortium. Operating under Horizon 2020, it is driven by the Vision and Strategic Innovation and Research Agenda (SIRA) developed by the industry. 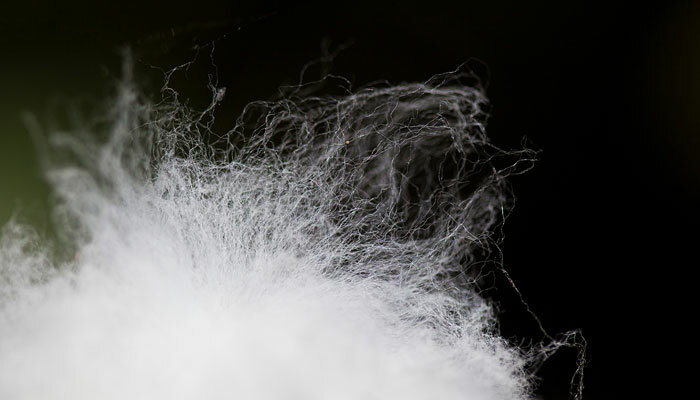 The NeoCel project will develop innovative and techno-economically feasible processes for producing high quality textile fibres from reactive high cellulose pulps. It will enhance the use of cellulose from sustainable sources, with a special focus on textiles.As the world’s population increases, it needs more textiles. 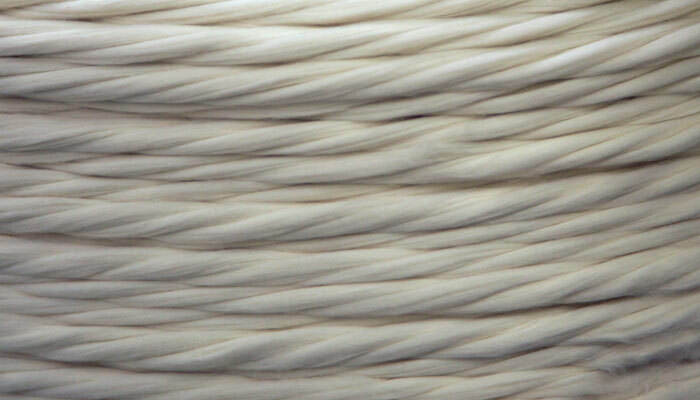 A source with great potential for long term increase in production volumes are man-made cellulosic fibres. 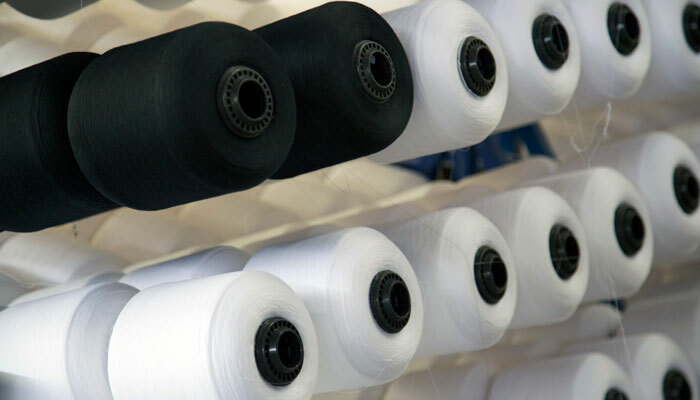 NeoCel will reduce the environmental impact and occupational health issues relating to man-made cellulose fibre production and promote sustainably produced, good quality man-made cellulosic fibres for the textile and fashion industries. 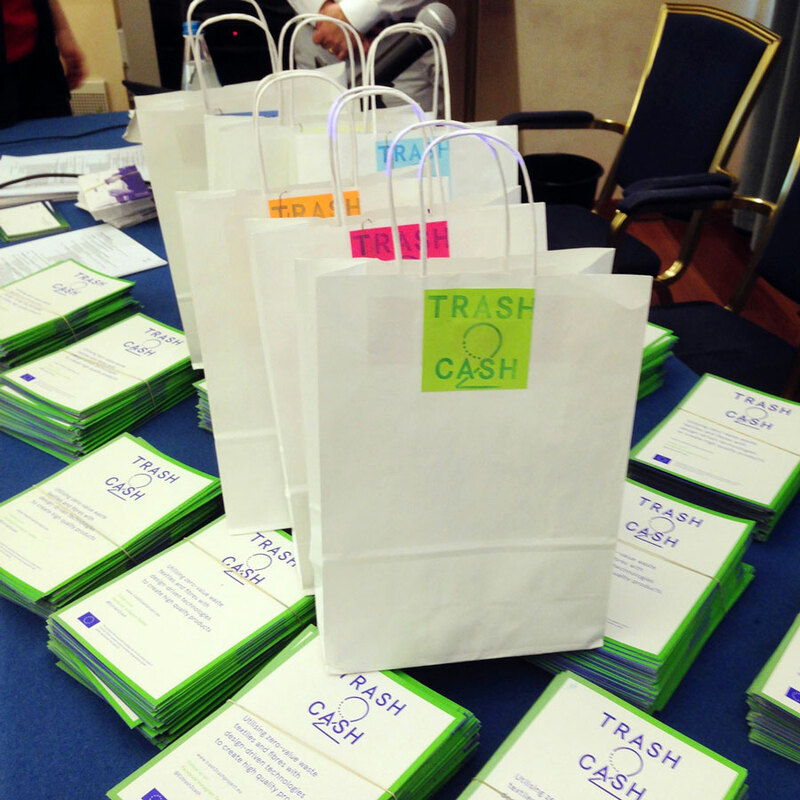 SÖKTAŞ is proud to participate in Trash-2-Cash project. 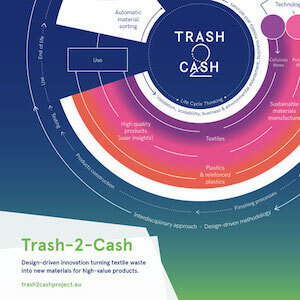 Trash-2-Cash is an EU funded research project aiming to create new regenerated fibres from pre-consumer and post-consumer waste. 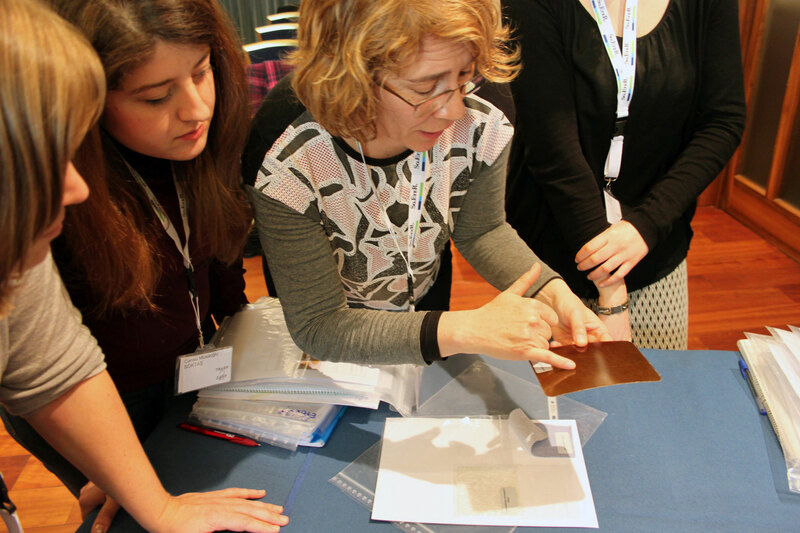 It’s also pioneering a whole new way of developing materials. 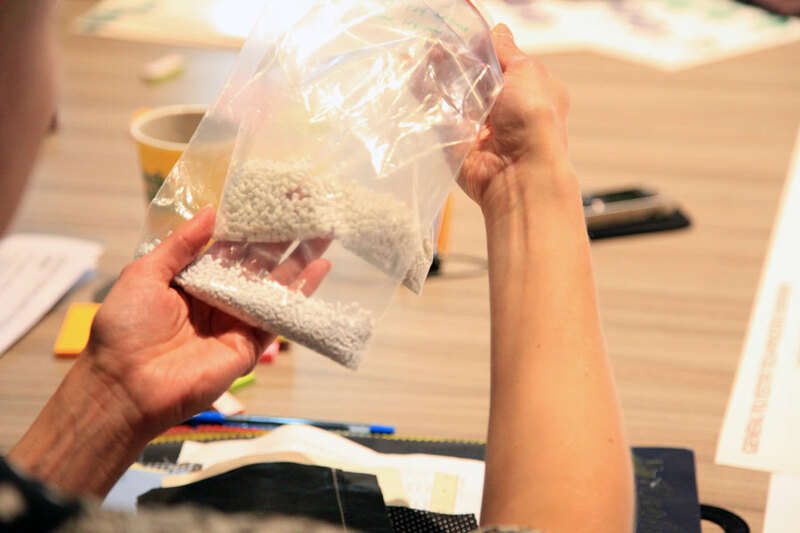 The idea of recycling textile waste has been popular for decades, but current mechanical methods give poor quality fabrics suitable only for industrial applications like insulation, and upcycling of pre-consumer textile waste into products is impossible to scale. 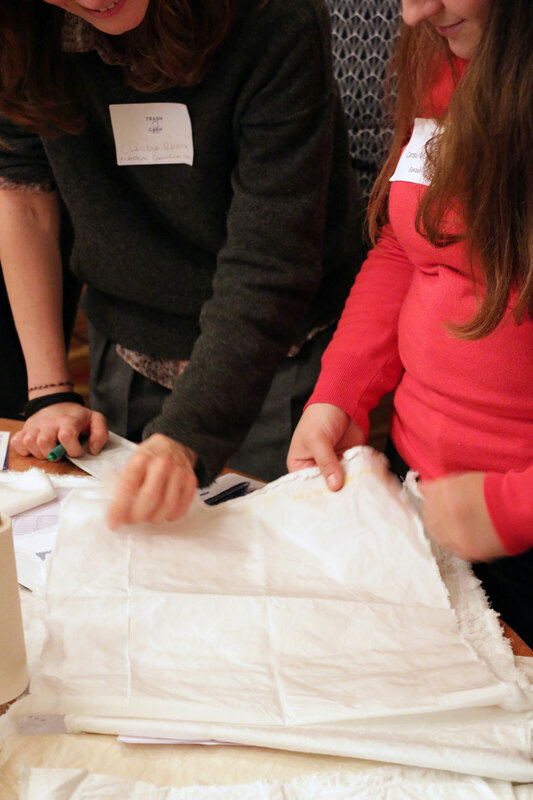 Trash-2-Cash (T2C) proposes a new model where paper and textile waste is recycled chemically - resulting in fabrics that are the same quality as new materials, to make products that are industrially replicable and infinitely recyclable. A positive ethos can be powerful for building future awareness, but product quality is still the most important factor for our customers. There fore while we do our best for the environment and future as well as our customers. 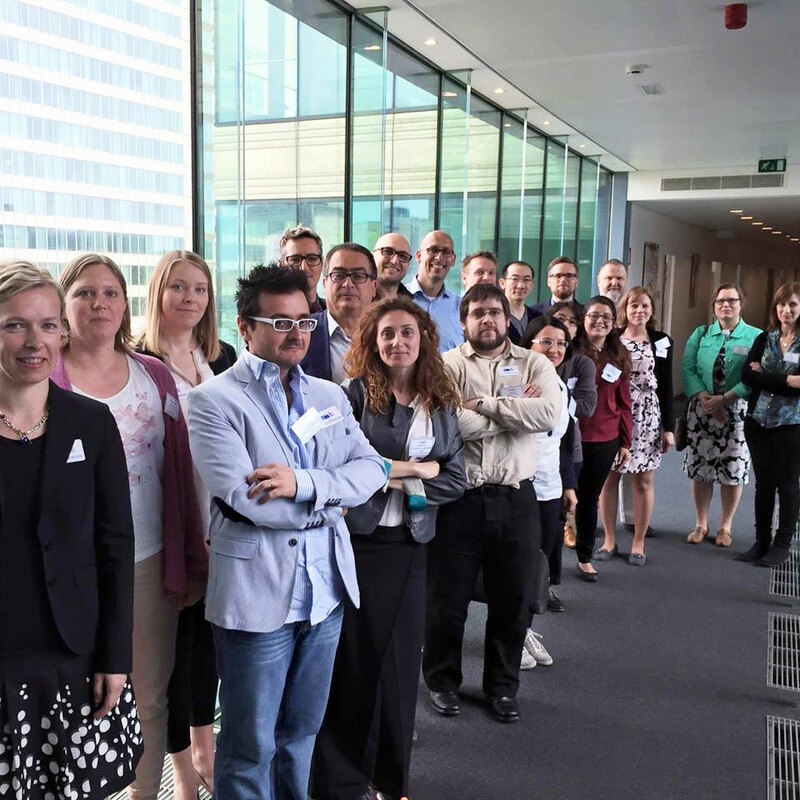 Designers, design researchers, scientists, raw material suppliers and product manufacturers from across Europe make up a cross-disciplinary consortium representing the whole product supply chain. 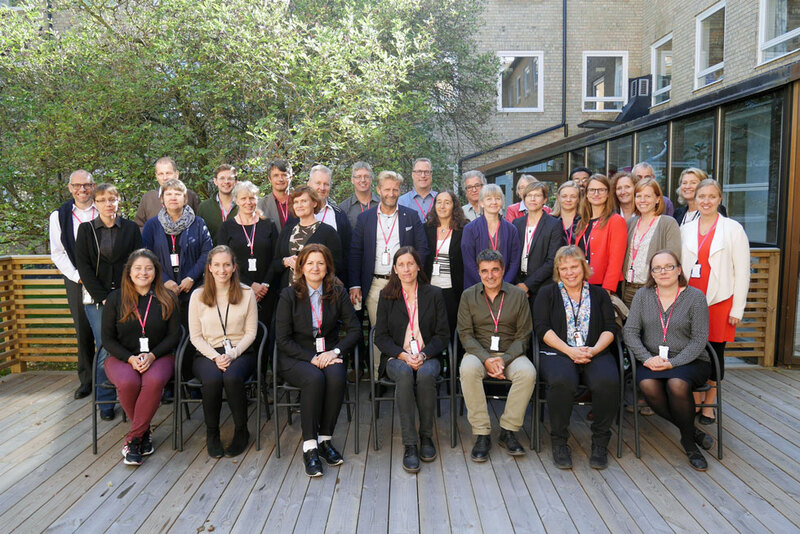 We are working closely as eighteen partners, from ten countries to address the challenge of designing high quality industrial materials from waste. 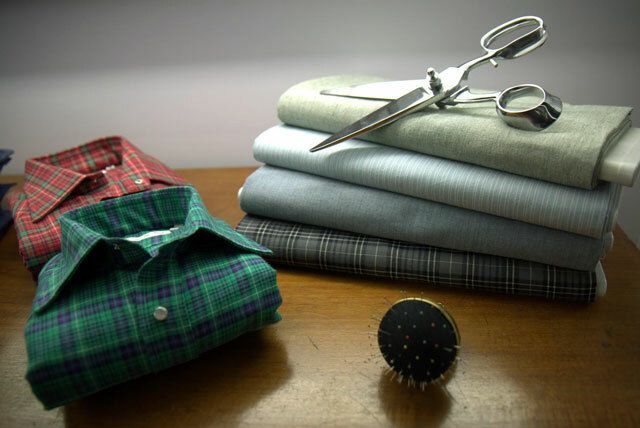 SÖKTAŞ is a specialist maker and supplier of cotton and cotton blended shirtings and more recently jacket & trouser fabrics that offers luxury at every level. 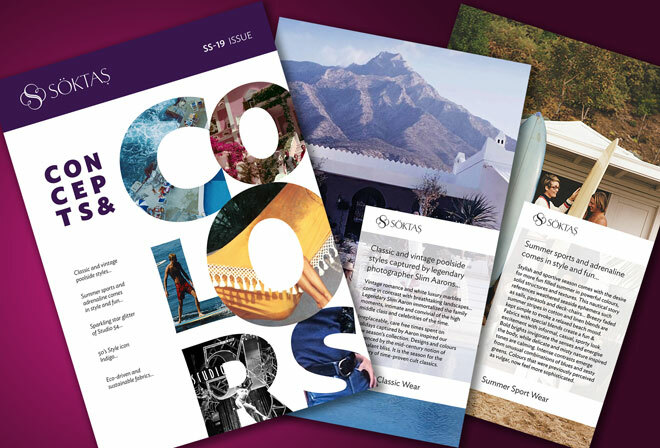 Our customer focused set up allows us to meet your every need from design, quality, finish, exclusivity, usability, delivery deadlines and orders that range from minuscule to major. 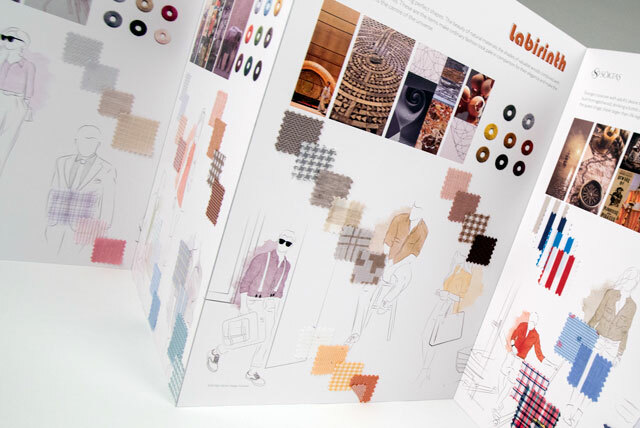 Our innovative research, development, design, presentation and archiving capabilities, with over 300,000 fabrics at our fingertips, keep our customers ahead of the industry and abreast of trends. 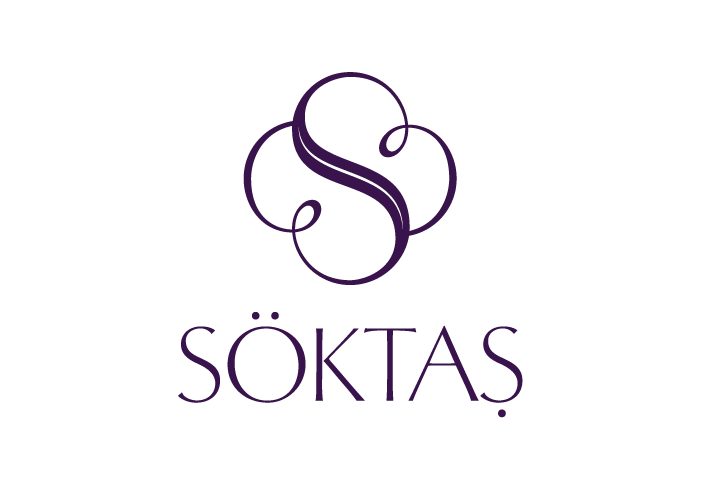 Founded in 1971 and listed on the Turkish Stock Exchange in 1995, SÖKTAŞ is a specialist designer and producer of cotton and cotton blended fabrics. Our reputation was built on shirting fabrics which we export around the world and we have broadened that expertise into fabrics for contemporary jackets, trousers. 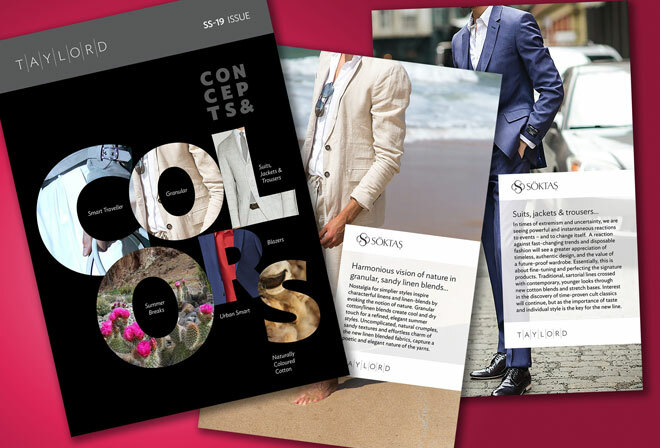 SÖKTAŞ is the silent giant behind many of the world’s best known fashion labels, but no matter the name, where located and whatever the size, our commitment is the same: a dedicated, personalised service to meet your needs and keep you at the forefront of global and regional trends. 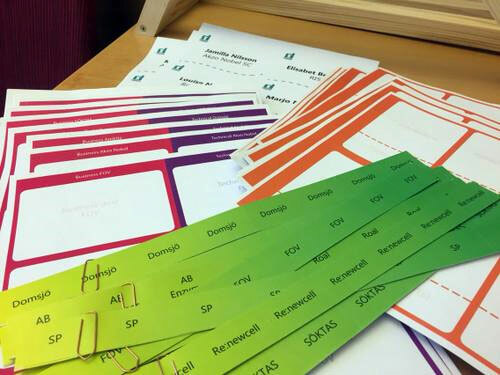 Our ordering system has been set up to enable us to respond with the same speed and precision to orders of vast quantities as to those of a few metres. fibre to rival most of the Egyptian Giza varieties. Our luxury cotton fabric retail business in India, with its strong tradition of bespoke tailoring and fabric retailing, is now serviced by its own production mill in Kolhapur, offering specific service delivery and fast turnaround for Indian and Indonesian markets. Please click here to watch Söktaş corporate video. Means sustainable air, water, earth, environment, health, education, business, jobs... Simply life itself. As we continue to grow and expand our horizons, we believe that it is our obligation to outline SÖKTAŞ’s commitment to social and environmental responsibility. Our genuine commitment helps us to build goodwill in the community where we live and work. We strive to contribute in education, passionately support artistic and cultural activities as well as seek to reduce our impact on the environment. Click here to download Sustainability Overview booklet. We are deeply woven into the fabric of our region with a unique impact on the world around us. In Söktaş, as an integral part of our rich heritage and culture, we believe that to be successful in long-term business venture, one must create value for society. 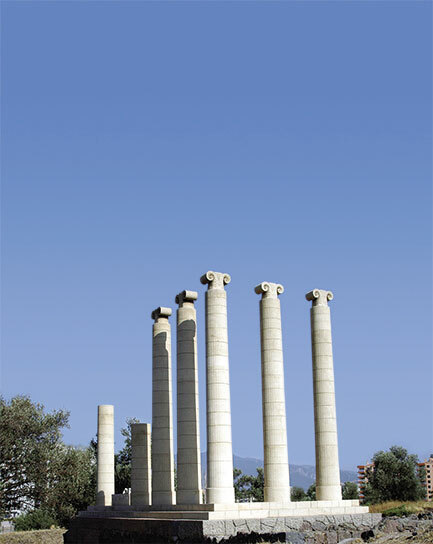 Our founding family, with deep roots in the region, sponsored a landmark conservation project called İlyas Bey complex. 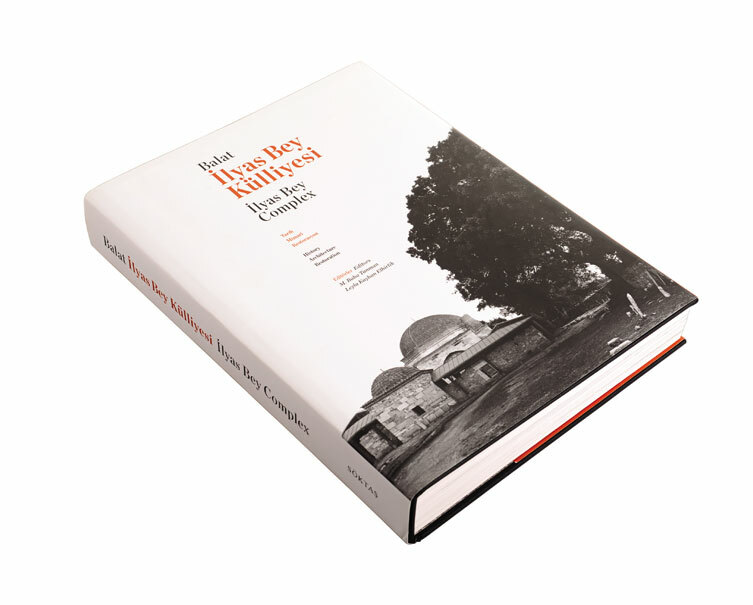 The İlyas Bey complex, built in 1404 by the principality’s ruler, cosseting of a mosque, a madras, an imaret, a double hamam and a market is a masterpiece reflecting the principal characteristics of the era. 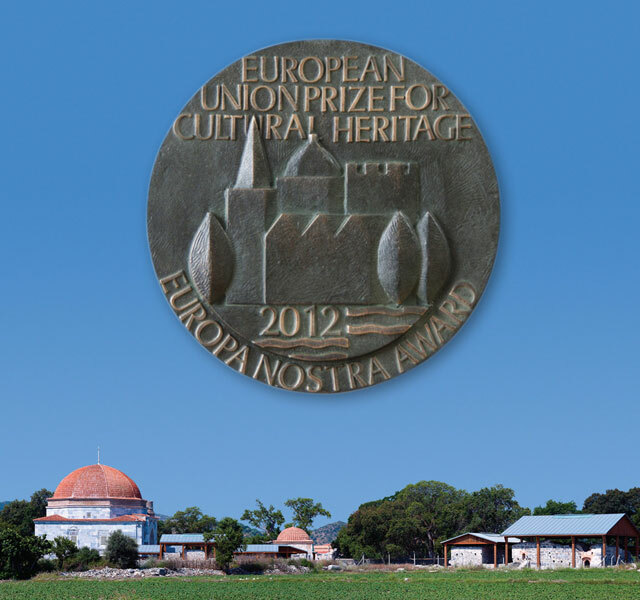 2012 Europa Nostra Conservation award for İlyas Bey project. 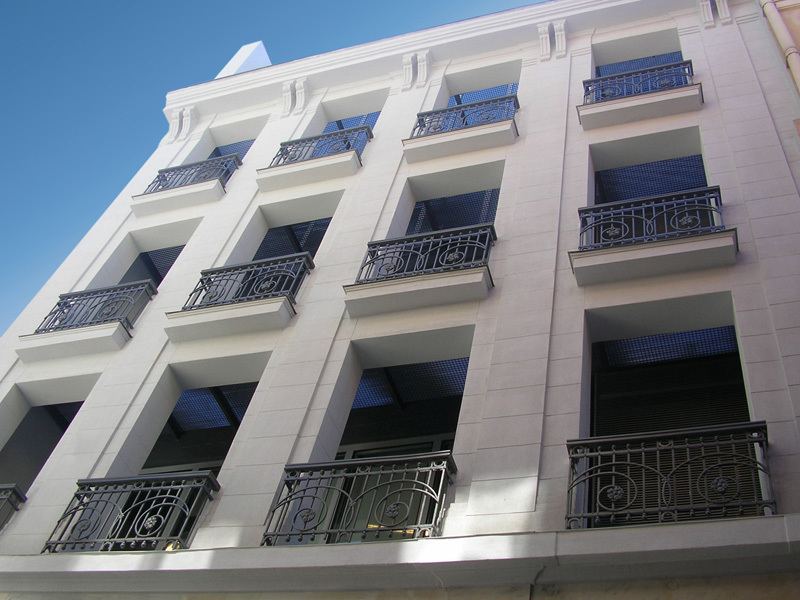 Our founders’ belief in socially responsible projects and their family ties to the building led them to engage in a sound restoration which has resulted in the announcement of a prestigious 2012 Europa Nostra Conservation award for this project. 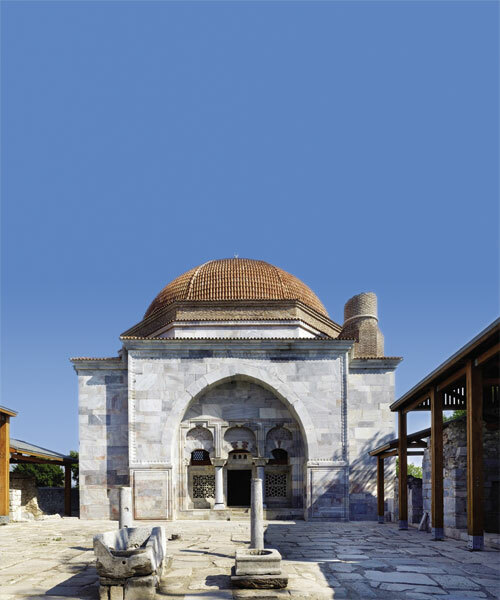 Publication of a landmark conservation project called İlyas Bey complex. Hacı Halil Pasha county library building was built in 1895 as a residence, belonging to our founding family, and later on converted into a library and donated to the city of Söke. 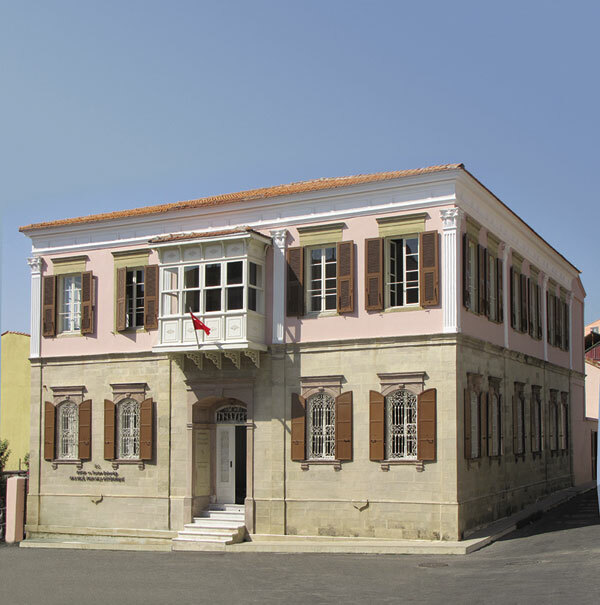 Izmir Foundation for Culture, Arts and Education. CowParade is the largest and most successful public art event in the world. 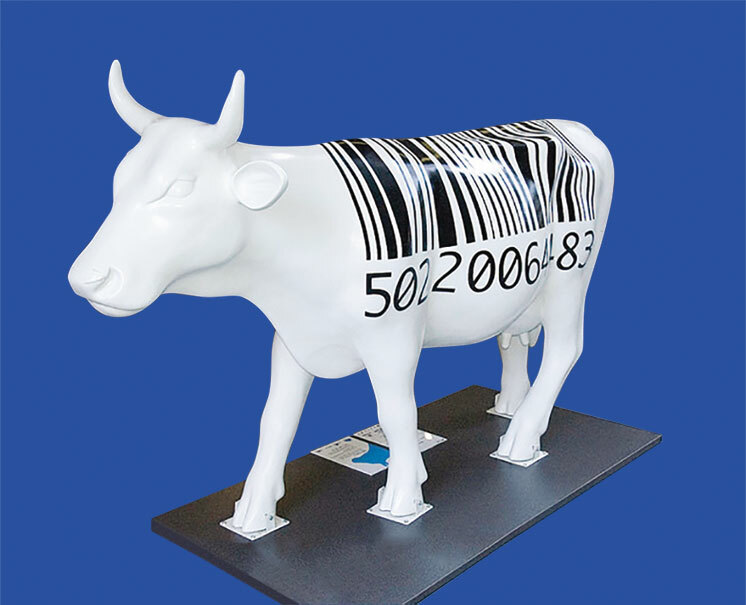 CowParade events have been staged in over 75 cities worldwide since 1999. We proudly sponsored the event in Istanbul in 2007. We invite the art students of DEU Fine Arts Faculty for a creative workshop. 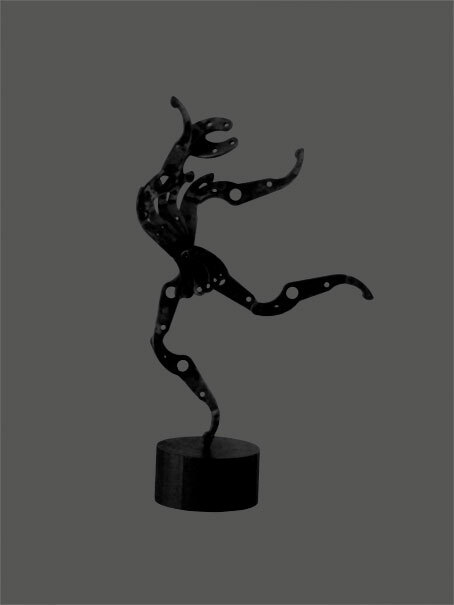 They convert industrial materials like machine parts, computer bits into highly creative sculptures. 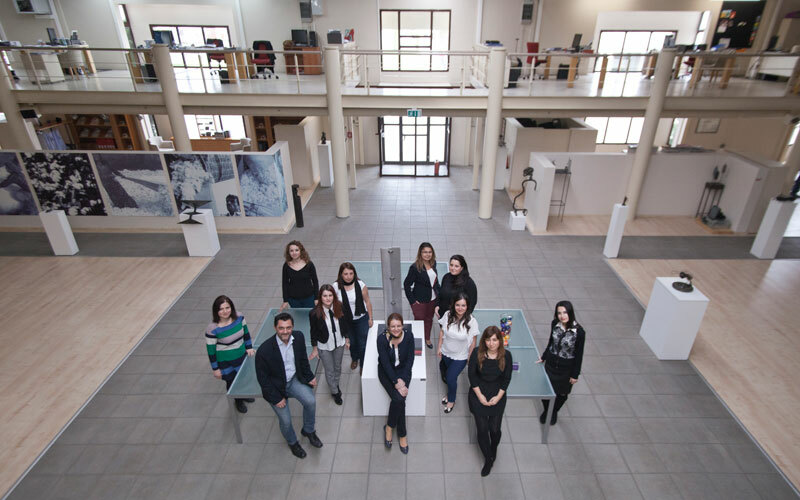 SÖKTAŞ is committed both to customer satisfaction and to the personal and professional development of its employees. We place a great deal of emphasis on employee fulfillment, respect for diversity and respect for each other. We believe that achieving great results means investing in and supporting our people. We do that in many ways - from in-house and out-of-company training, to participation in state of-the-art customer satisfaction projects; from accommodation for new local graduates to private health insurance for office staff. Prioritising people, of course, means prioritising our customers, from the smallest to the biggest and on every continent. Living our brand values of quality, performance, innovation and elegance means continuing to strive for perfection in what we offer, which entails attention to the smallest detail in everything we do. Supporting our focus on the development of our people is a best practice Quality Assurance System called Six Sigma which we began using in 2009. What sets Six Sigma apart from other quality improvement initiatives is its clear focus on achieving measurable returns, emphasis on strong and passionate leadership and a special infrastructure of “Champions”, “Black Belts”, “Green Belts” etc to lead and implement the approach. With over 70% of our staff undertaking the training, we currently have 2 Master Black Belt, 16 Black Belt, 7 Green Belt and over 100 Yellow Belt fully accredited staff. We recognise that prioritising people equally means valuing those inside the company. All new staff receive up to 3 months paid training to ensure a smooth integration into the organisational culture. Personal career progression plans are co-authored with the support of Human resources to give staff a sense of where they can and want to go. They are assisted by their own managers, by Human Resources and by Trainers, but our aim is to have people set, monitor and realise their own goals within the bigger framework of those of the organisation. Interested in a career with a company that cares? Please click here to send us your updated CV. 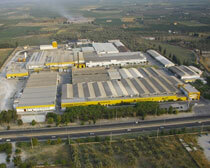 Please contact our offices for the nearest SÖKTAŞ representatives in your country or region. SÖKTAŞ Tekstil has accepted an offer for the purchase of 100% of its Indian subsidiary SÖKTAŞ India Pvt Ltd (“SÖKTAŞ India,” “SIPL”) by Grasim Industries Ltd (“Grasim”), a company of the Aditya Birla Group (“ABG”). The offer was deemed by SÖKTAŞ to be highly beneficial for its Indian assets and the significant goodwill it has generated in this market in the last decade. By the terms of this agreement, SÖKTAŞ will transfer its ownership of SIPL in full, with its production facility in Kolhapur to Grasim/ABG. 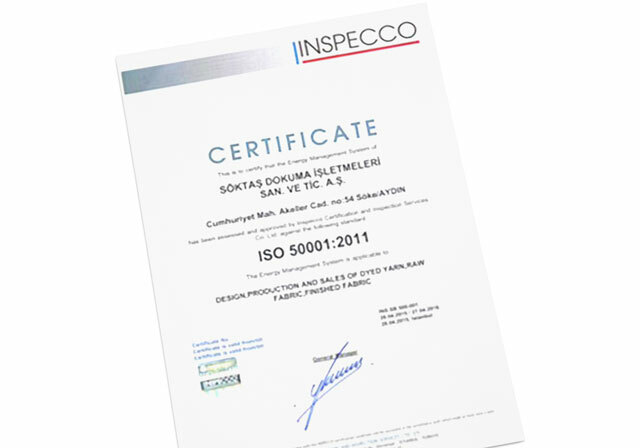 SÖKTAŞ India is a wholly owned subsidiary of SÖKTAŞ Tekstil Sanayi ve Ticaret A.Ş., world renowned producer and marketer of premium shirting fabrics, with its main facilities in Söke, Turkey. 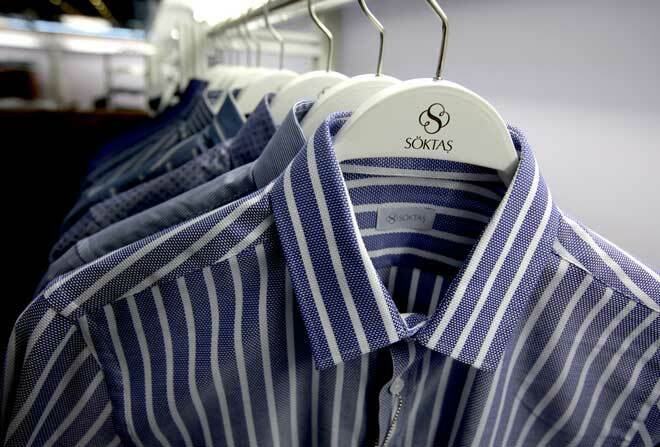 SÖKTAŞ India produces and sells shirting fabrics in India under the “SÖKTAŞ”, “Giza House” and “Excellence by SÖKTAŞ” brands. 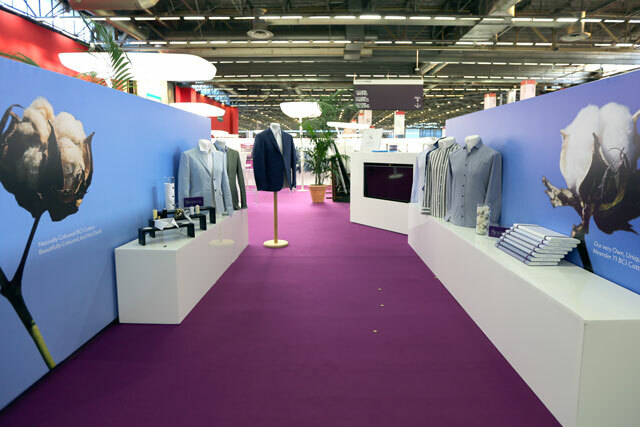 These fabrics are sold in the fabric retail market, over the counter direct to consumers in thousands of sales points, and also to leading and to local and global fashion brands. In 10 years of operation, the SÖKTAŞ India brands have become prominent brands in their segments. This agreement will unlock significant value for SÖKTAŞ to continue investing in its headquarters in Turkey and Europe, and strengthen its capital structure to protect and improve its market position as a world leader in premium shirt fabrics. Headquartered in Mumbai, India, Aditya Birla Group is a diversified, US $44.3 billion corporation with over 120,000 employees in 34 countries. With over seven decades of responsible business practices, the Aditya Birla Group operates in a wide range of sectors – metals, textiles, carbon black, telecom and cement. 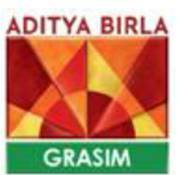 Grasim Industries Ltd., a part of Aditya Birla Group, ranks among India's largest private sector companies. Its consolidated net revenue was Rs. 562 billion (US$8.6 Bn.) and consolidated net profit of Rs. 37 billion (US$ 565 Mn.) in FY 2018, with textiles, cement, and financial services operations. Grasim is uniquely positioned to grow SÖKTAŞ India more than ever, with its significant presence and resources in the Indian and world markets. Pending remaining obligations, the transaction is expected to close by the end of March. 2020 Spring-Summer collection reflects well spent summer time... Contemporary, performance fabrics in extreme flexibility are created for an easy-to-wear pieces, with a broad appeal across markets. 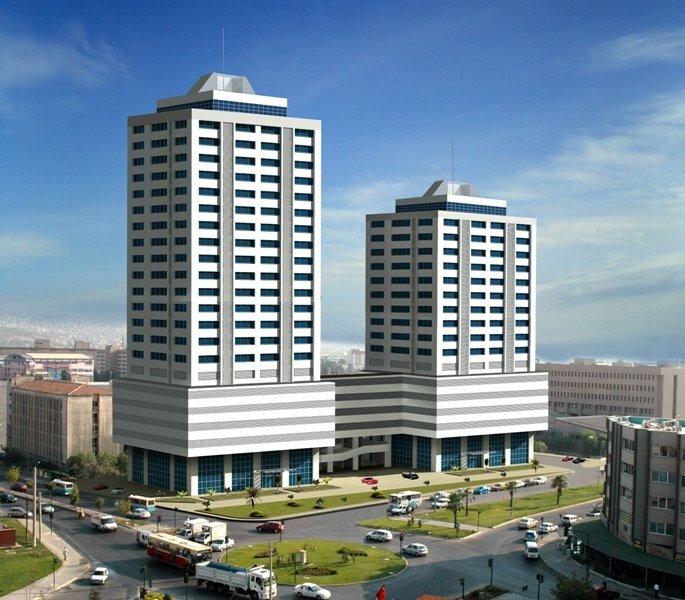 Son günlerde Büyük Menderes’teki balık ölümleri ve kirlilik haberleri, bizi oldukça endişelendirmektedir. Bu durumun ne yazık ki balık ölümleri ile tabiri caizse “iş işten geçtikten sonra” gündeme gelmesi üzücü olsa da Büyük Menderes’imizi kurtarmak için geç değildir. SÖKTAŞ’ın, 1982 yılında, Türkiye’de “Çevre Bakanlığı” kurulmadan 9 yıl önce, herhangi bir kanuni mevzuat bile yokken yaptığı arıtma tesisi, ülkemiz tekstil sektöründe bir ilktir. Kurucu ailemizin yüz yıldan fazla bir süredir Söke’de çiftçilik yapması ve yaşaması, çevresel konulara diğer endüstriyel işletmelerden çok daha yüksek bir hassasiyet ile yaklaşmasına sebep olmaktadır. Yazılı ve görsel basında nehirdeki bu kirliliğin sebeplerinden biri olarak “Söke’deki fabrikalar” veya “Büyük Menderes’teki fabrikalar”dan bahsedilmesi doğaldır. Bu nedenle SÖKTAŞ Söke fabrikası bu konuda aldığı önlemlerden ve geçtiği denetimlerden bahsetmeyi görev bilmektedir. Son 3 haftada, Çevre İl Müdürlüğü temsilcileri arıtma tesislerimizi 3 kere ziyaret edip, 2 kere su numunesi almıştır. Çıkan sonuçlar Çevre Bakanlığı’nın sektör normları içindedir. SÖKTAŞ ayrıca son bir yıl içinde sadece kamu yetkilileri tarafından değil, aynı zamanda bağımsız uluslararası endüstriyel değerleme kurumları ve dünya çapındaki moda devleri (Inditex (ZARA & Massimo Dutti), H&M, HUGO BOSS) tarafından da çevre denetimlerine tabi tutulmaktadır. 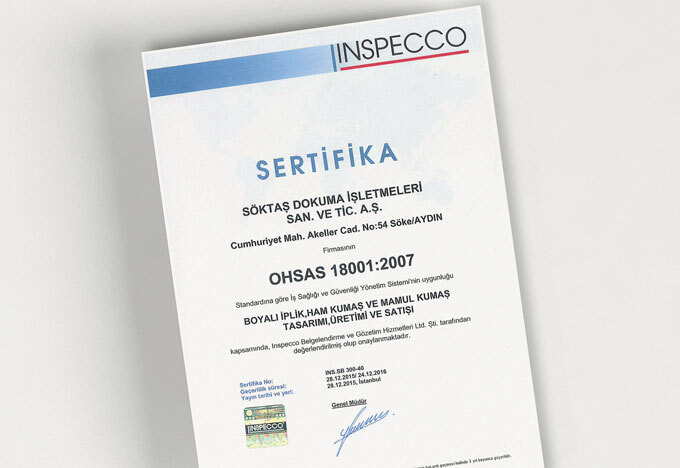 SÖKTAŞ’ın sahip olduğu uluslararası belgeler arasında ISO 14001 Çevre Yönetim Sistemi, ISO 50001 Enerji Yönetim Sistemi, ISO 9001 Kalite Yönetim Sistemi, Global Organic Textile Standard (GOTS) ve OEKO-TEX sertifikaları bulunmaktadır. Ayrıca SÖKTAŞ, yakıt ve su tüketiminde proaktif önemler almada sektör lideri konumundadır. Su, ısı tasarrufu ve geri dönüşümü için Güney Ege Kalkınma Ajansı (GEKA) destekli projeler üretmektedir ve desteklenmektedir. SÖKTAŞ’ın temennisi, Menderes havzasında bulunan tüm tarımsal, endüstriyel, tabii kaynak değerlendiren ve organize sanayi bölgelerindeki işletmelerin de benzer denetimlere tabi olması; koku, toz ve atık konularında gerekli düzenlemelerin, gerekirse caydırıcı cezai önemlerin acilen alınmasıdır. Ayrıca bölgemizdeki taş ocakları da, hem çevresel hem de görsel olarak büyük birer sorun teşkil etmektedir. Latmos’ta keşfedilen kaya resimleriyle ortaya çıkan 10 bin yıllık tarihimizi bile kritik seviyede tehdit altında tutan bu ocakların acilen ruhsatlarının iptal edilip bölgenin Milli Park ilan edilmesi gerekmektedir. Geniş bölgede, Ortaklar’dan Menderes deltasına kadar toz bulutlarına sebep olan taş ocakların yenilerine izin verilmemesi, kapatılanların da mutlaka kanunlara uygun bir şekilde islah edilip tekrar ağaçlandırma çalışmaları yapılmasının kuvvetle takip edilmesi gerekmektedir. Jeotermal enerji tesislerinin tarımla etkileşiminin bu bölgenin ürün çeşitliliği, verimi ve gıda güvenliği açılarından bir kez daha değerlendirilmesi de şu aşamada yerinde bir adım olacaktır. Ovalarımızın, nehirlerimizin, ağaçlarımızın, hayvanlarımızın sağlığı sadece bizim için değil, bütün ülkemiz için en üst seviyede önem taşımaktadır. Bu konunun takipçisi olmaya ve üstümüze düşen görevleri yapmaya devam edeceğimizi kamuoyunun bilgisine sunarız. 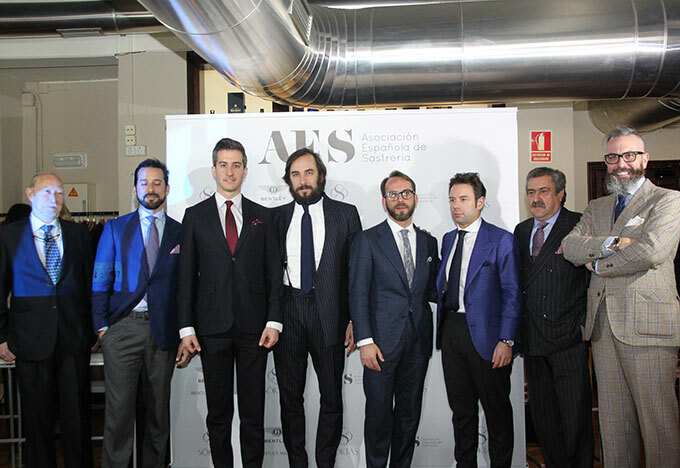 In March, SÖKTAŞ sponsored the Tailoring Association of Spain’s launch event of their “Seal of ‘A-Quality Artisanal Tailoring’” in Madrid. Irreplaceable, care free times spent on holidays inspired our new season’s collection. Designs and colours influenced by the mid-century notion of nonchalant bliss. It is the season for the discovery of time-proven cult classics. Dreams meet simple daily pleasures in mountain ski resorts... Pure but energetic basic structures in endless shades and hues of winter sky blues for informal day-wears. Colourful social gatherings take place around the afternoon tea. The winter day wear develops in a soft, homespun direction with a renewed affinity to nature. SÖKTAŞ presented it’s Spring Summer 2018 collection at Premier Vision Paris Show in February 2017. It was such a great pleasure to welcome visitors from all corners of the globe. Our stand was very popular stop and we are happy to share that we had one of the busiest PV show with record number of visitors. Visitors showed great interest to our new collection for Spring Summer 2018. Early reaction to our new collection has been fantastic both for shirting collections and the TAYLORD fabrics for jackets and trousers. Delectable, delightful well travelled summer... Contemporary, performance fabrics in extreme flexibility are created for an easy-to-wear pieces, with a broad appeal across markets. 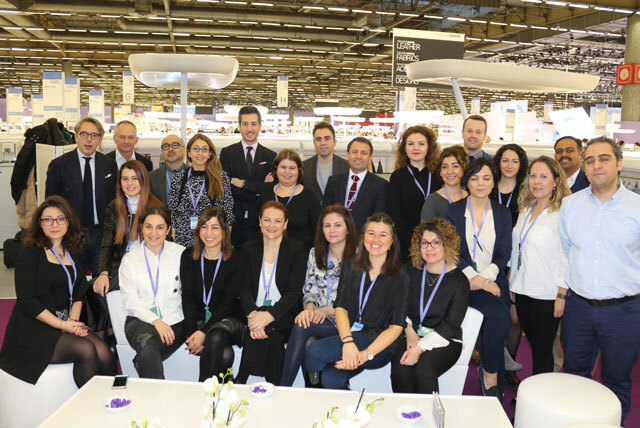 SÖKTAŞ presented it’s Autumn Winter 2017- 2018 collection at Premier Vision Paris Show in September 2016. It was such a great pleasure to welcome visitors from all corners of the globe. Our stand was very popular stop and we are happy to share that we had one of the busiest PV show with record number of visitors. Visitors showed great interest to our new collection for Autumn Winter 2017-2018. Early reaction to our new collection has been fantastic both for shirting collections and the TAYLORD fabrics for jackets and trousers. This season we continued to have our special collaboration with Italian designer Salvatore Piccolo. The collection is built on different themes and supported with Salvatore’s garment visuals. The Autumn Winter 2017-18 Collection is all about today’s contemporary codes of inspired elegance…The language of elegance broadens its meaning through radical but subtle, eccentric but collaborative approach to life itself. Innovation today draws a magnetic attraction between nature and technology with a futuristic take on craftsmanship. Deep down, fabrics hide a sensitive and silent understated nobility. Yarns, colours, fabrics and patterns influence each other and cultivate an individualistic approach… Harmonious, serious and naturally soft AW 17-18 collection, subtly balances between warm and cold, past and future, austerity and utter luxury, natural and high tech in sophisticated contrasts. Generously rich, and saturated colours of the range have a poetic feeling for the season. 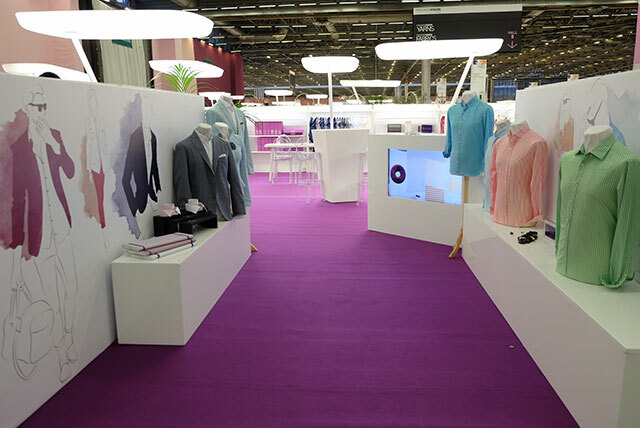 SÖKTAŞ presented it’s Spring Summer 2017 collection at Premier Vision Paris Show in February 2016. SÖKTAŞ continues to push boundaries in design and innovation in the SS17 season. 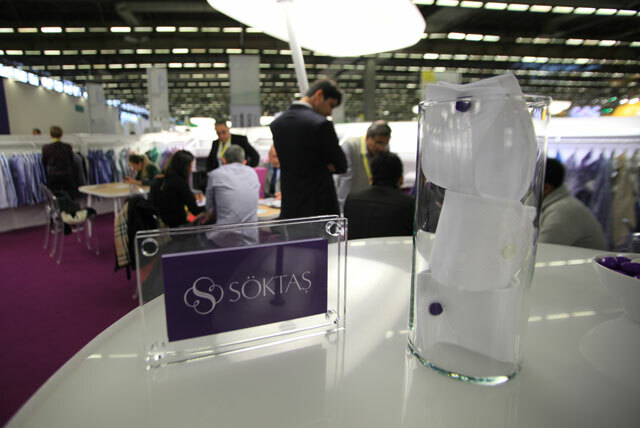 A world leader in premium shirting fabrics, SÖKTAŞ debuted its new collection at Première Vision Paris in February. The new shirting collection features an increased attention to detail in texture and touch. Semi plains in 3 dimensional designs, knit-like basket weaves, an expanded line of cotton-linen mixes with melange coloured yarns anchor the look of the new season. Also of note is the return of stripes: both subtle and bold, in seasonal colours. 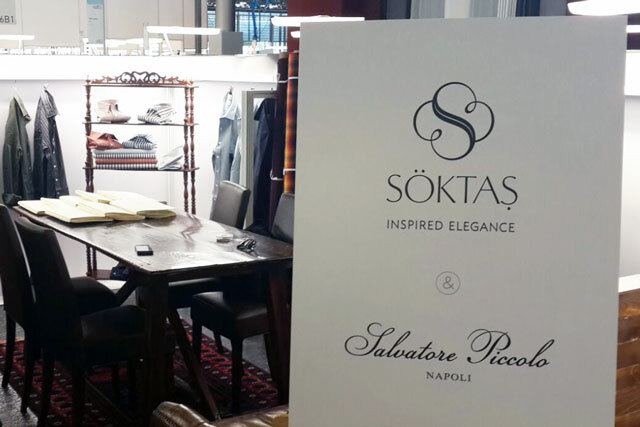 SÖKTAŞ is also proud to present the second season of SÖKTAŞ & Salvatore Piccolo capsule collection. In this much anticipated collaboration, timelessly elegant summer looks are accentuated by rustic textures, linen blends and a new sophistication in colours. This collection is for brands who look for a unique approach to shirtings, and the styling flair of Salvatore Piccolo Napoli combined with the SÖKTAŞ expertise. Inspired by the common Mediterranean heritage, this capsule collection promises a new take on shirtings. 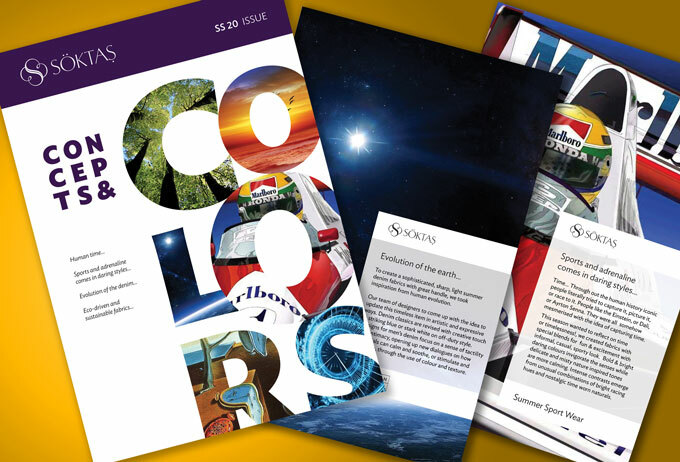 The colours of the new season are in a few distinct themes. The first theme is inspired by 80’s Miami: pastels accentuated by muted turquoise, natural pinks and yellows take you back to Ocean Drive and the Art Deco aesthetic. The second theme, “Midsummer Night” is based in dark monochrome bases with sudden streaks of bright yellows and oranges to provide fresh surprises. The third and fourth themes are inspired by Nature: maize yellows and peach colours harken a refreshing coolness while the darker colours of the nature, clay, tree bark, stone navies offer a serious and determined look. SÖKTAŞ is expanding its fine Indigo shirting collection “Urban Blues” as well. Off from a great debut in September, the spring-summer line incorporates more textures as well as linen blends that highlight the versatility of fine denim shirts. Denim, is no more rustic. 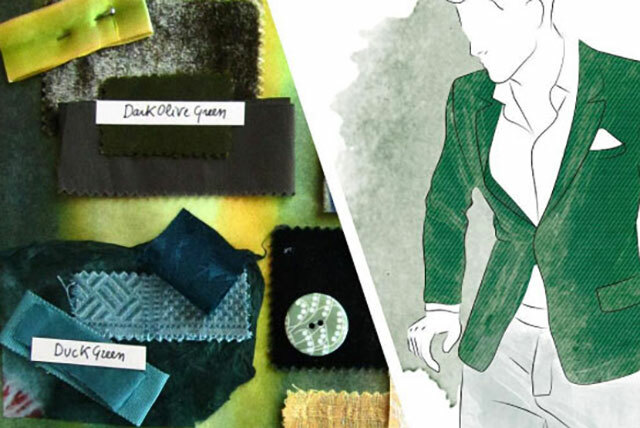 The “Taylord” line of jacket and pants fabrics also get an upheaval this summer season. More stretch blends highlight the importance of performance with more urban looks for modern times. The shirting design expertise of SÖKTAŞ is translated perfectly into a departure from the plain looks of yesteryear in cotton, linen and stretch blended pants and jackets. In SÖKTAŞ we give the first priority to Occupational Health and Safety at every step of all our processes to produce yarn and fabric. • Create the best possible working conditions across our organization outlined by OHSAS 18001. • Identify hazards and put in place controls to manage them. • Reduce workplace accidents and illness. • Engage and motivate staff with better, safer working conditions. • Demonstrate compliance to customers and suppliers. • OHSAS 18001 is an Occupation Health and Safety Assessment Series for health and safety management systems is intended to help an organizations to control occupational health and safety risks. • OHSAS 18001 sytems can help organisations put in place the policies, procedures and controls needed for the organization to achieve the best possible working conditions. 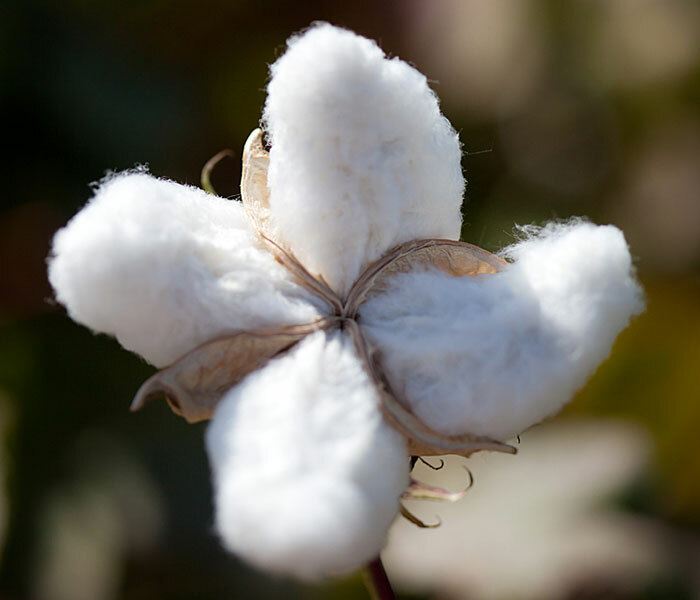 A few years ago, we developed Turkey’s first long staple cotton that rivals the finest Egyptian varities in cooperation with the Cotton Research Institute. We named it Meander 71, after the historic Meander Valley where we are located: the setting of many famous ancient myths, tales, and battles recorded by Homer and Strabo. Combining our know-how and the latest standards on socially responsible cotton growing practices, we are now taking the Meander 71 cotton one step forward with the BCI* endorsement. Since its introduction, fabrics made from our Meander 71 cotton have already moved into the collectibles line. They will only grow to be bigger and more desirable over the years. Our unique Meander 71 cotton is grown on our own land, which is only 7 km away from our mill. 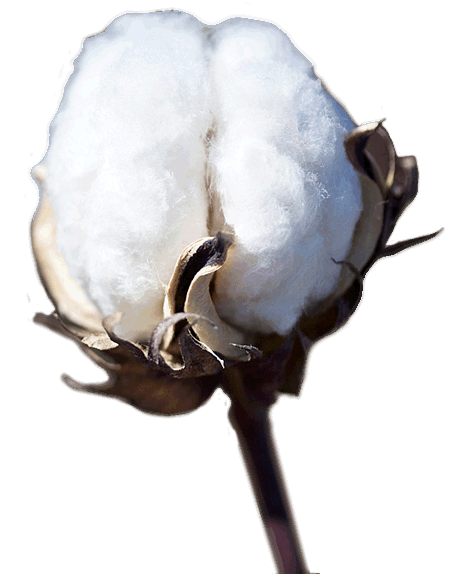 This means our carbon footprint to process the cotton is extremely low. This is a special pride point for SÖKTAŞ, and something that cannot be easily replicated elsewhere. 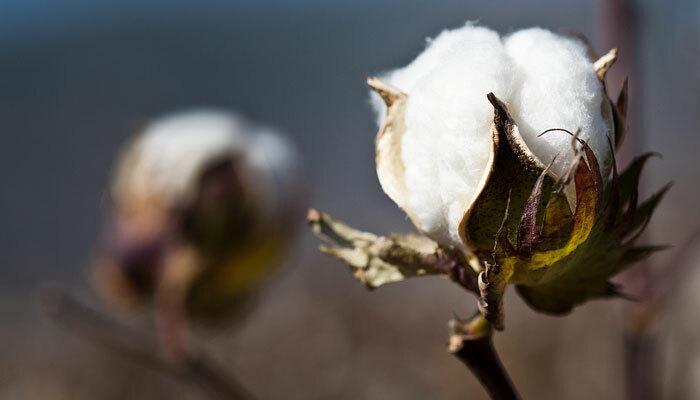 BCI* - Better Cotton Initiative Standard System; is a holistic approach to sustainable cotton production which covers all three pillars of sustainability: environmental, social and economic. as a sustainable mainstream commodity. 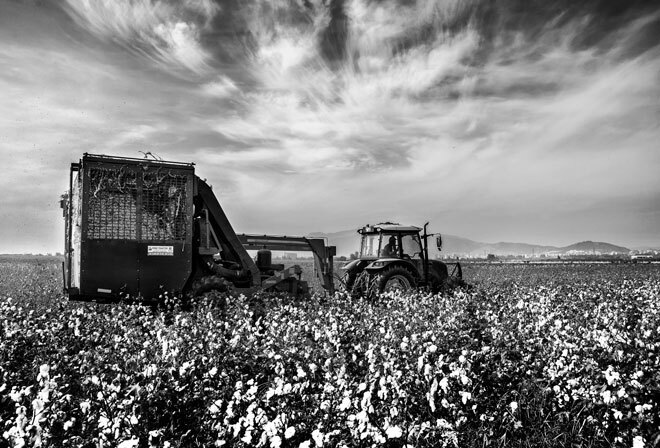 This season's cotton harvest photographed by our senior designer Seçkin Yenici. Life starts all over again in this inspirational autumn. In our AW16-17 collection, glowing embers flow from a forest where browns and ochres are in harmony with baked orange and honey. 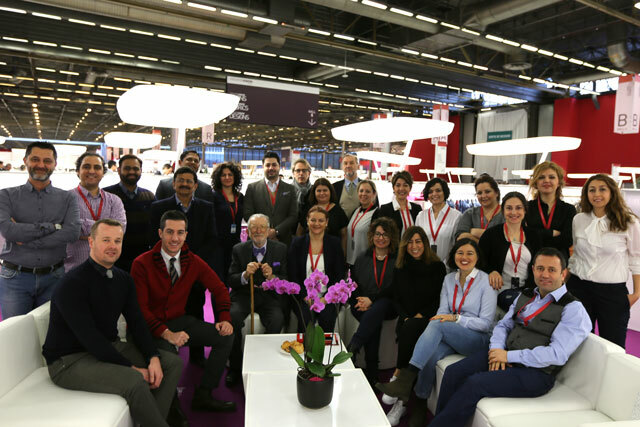 SÖKTAŞ presented it’s Autumn Winter 2016- 2017 collection at Premier Vision Paris Show in September 2015. It was such a great pleasure to welcome visitors from all corners of the globe. Our stand was very popular stop and we are happy to share that we had one of the busiest PV show with record number of visitors. Visitors showed great interest to our new collection for Autumn Winter 2016-2017. Early reaction to our new collection has been fantastic both for shirting collections and the TAYLORD fabrics for jackets and trousers. This season we also have a special collaboration with Italian designer Salvatore Piccolo. The collection is built on different themes and supported with Salvatore’s garment visuals. 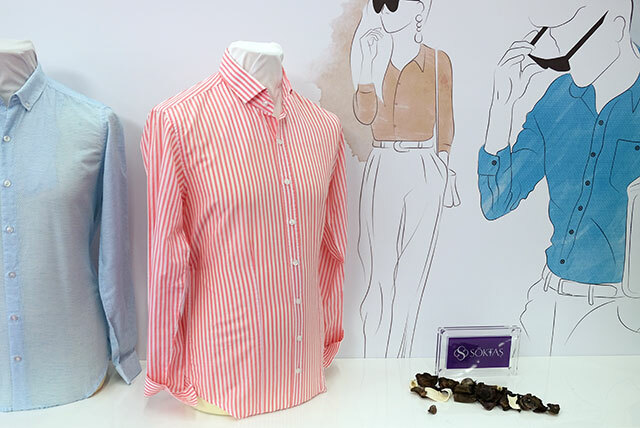 SÖKTAŞ, a world-leading designer and producer of shirting fabrics from Turkey, signed a memorandum of understanding with Honduran company the Kattan Group, the largest shirt manufacturer in the Western hemisphere, to cooperate in marketing and making finished shirts for the US market. With decades of experience on both sides and a broad portfolio of products and customers; SÖKTAŞ Chairman Muharrem Kayhan noted “It made sense. 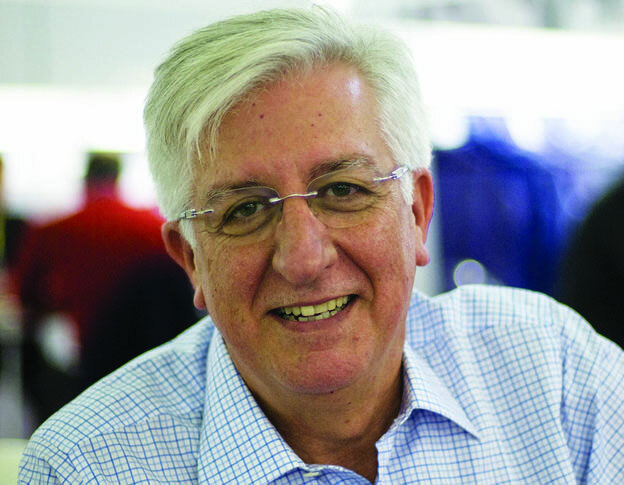 We were looking for a strong partner in Central America to help us bring a ‘full service’ offering to our US customers, who are increasingly purchasing finished shirts from the Far East,” citing the change in the purchasing patterns for both mid-market brands in the country as well as national giants. 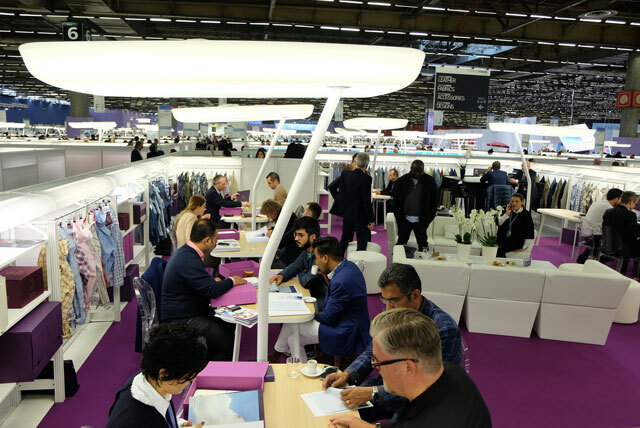 “Combining our excellence in fabrics with Kattan’s unmatched scale, quality and regional expertise in manufacturing both dress and sports shirts, this is a win-win for the partnership as well as the customer. The customers will not have to worry about the challenge and costs associated with sourcing the fabrics and the garments separately. 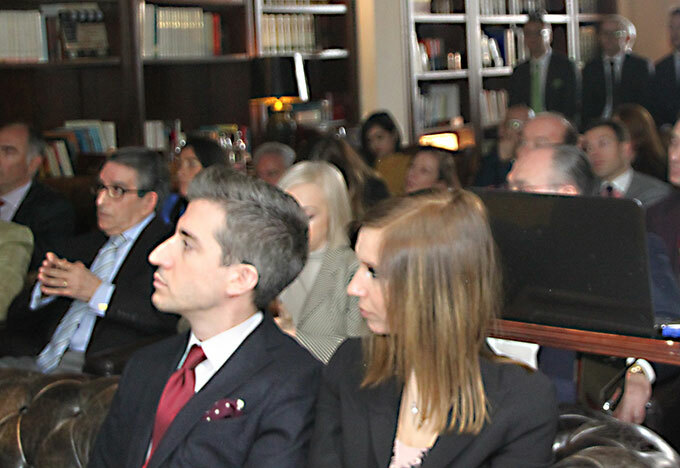 The DR-CAFTA free trade agreement also allows access to the US market duty free with appropriate fabrics, a real icing on the cake” concluded Kayhan. 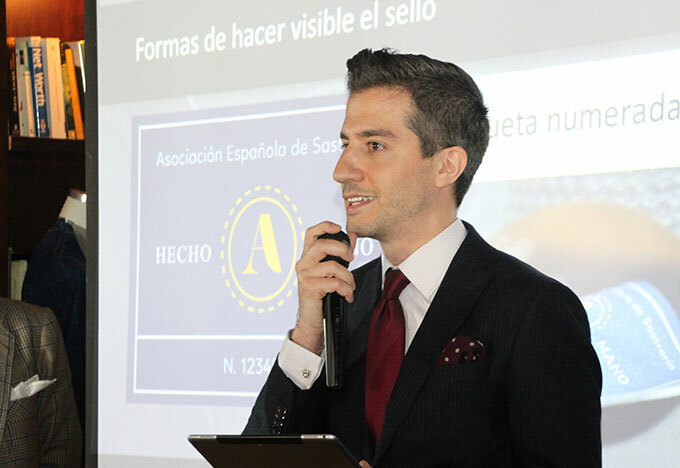 “With our joint commitment to inventory fabrics for individual customers in Honduras, we will be able to offer an unprecedented level of service, speed to market and value that can never be achieved from Asia” said Jacobo Kattan, Chairman of the Kattan Group. “We have had this vision of establishing a virtual, regional supply chain for some time and now we have the ideal partner. Muharrem and I are both very excited to be able to offer our customers this unique service”. 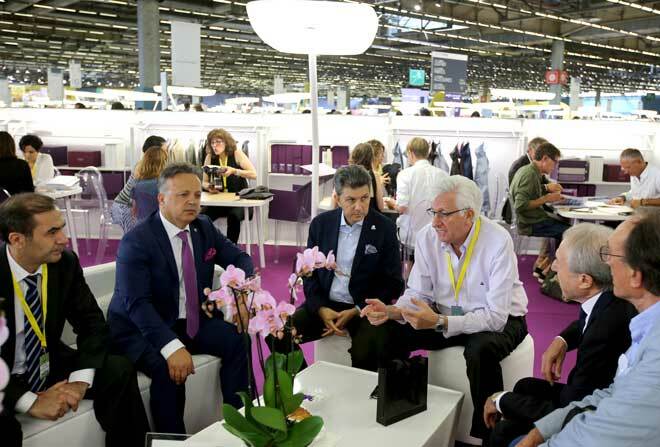 SÖKTAŞ and Kattan will be launching their partnership at the Premiere Vision show in Paris on September 15th, and presenting the strengths of the cooperation to US brands throughout the year. 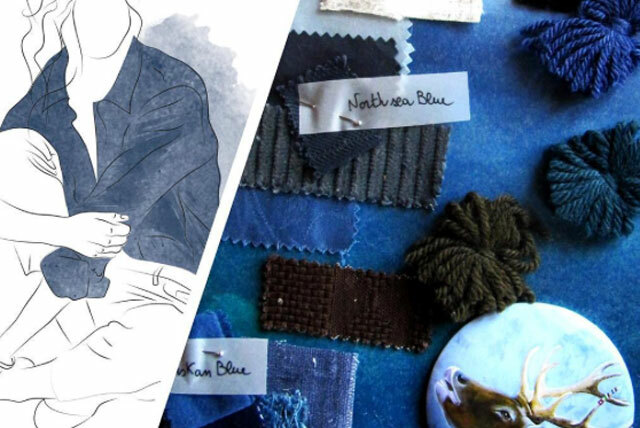 Turkish luxury fabric designer and producer SÖKTAŞ has invited Neapolitan menswear designer Salvatore Piccolo to collaborate on a special fabric collection for the AW ’16-’17 season. Salvatore Piccolo, a designer, tailor and entrepreneur learned the tricks of the trade from his parents. 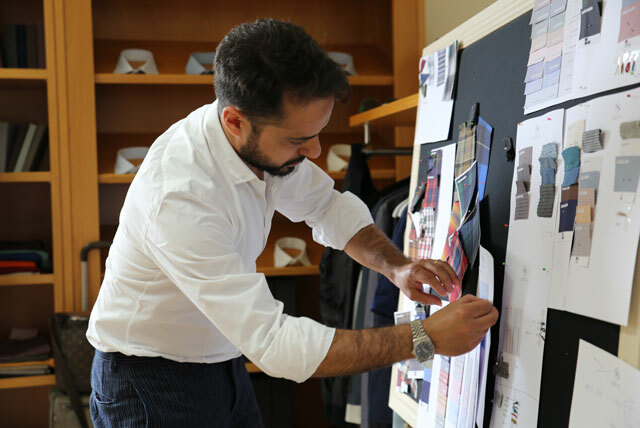 After achieving success as bespoke tailor with his distinctive style, his ready-to-wear line is high in demand in many fashion forward markets like New York, Tokyo, and Monaco. “A first essential connection, strong, natural, is surely the sea. The Mediterranean, the cradle of civilization, a crossing of cultures and traditions, creative impulse and endless source of new inspiration. It was easy for me to feel instantly at home in SÖKTAŞ.” Said Mr. Piccolo of the partnership, and concluded: “We are brought together by a deep respect for the quality of materials, the obsessive search for excellence at every stage of processing, and an idea of elegance in continuous evolution.” SÖKTAŞ will be presenting the SÖKTAŞ & Salvatore Piccolo capsule collection for the first time at the Première Vision Paris show during September 15-17. 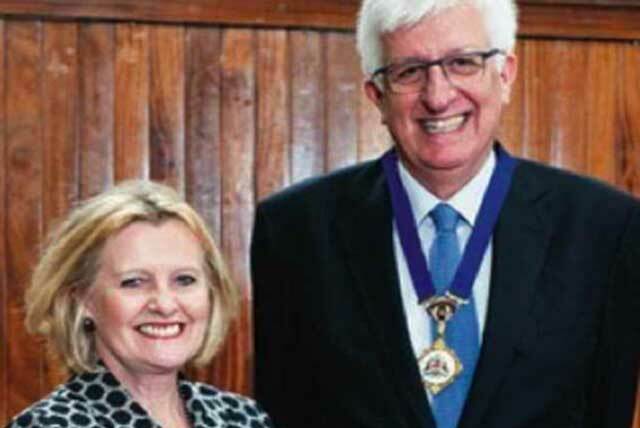 Manchester, UK – February 2015 The Textile Institute Council has invited Mr Muharrem Kayhan,member of the Institute and Chairman of the Board of Söktaş to be World President Elect. On 14 May 2015 at The Textile Institute Annual General Meeting its members requested to vote Mr Muharrem Kayhan in as the next World President for the period of 2015-2017. With International Headquarters in Manchester, UK, The Textile Institute is a unique organisation in textiles, clothing and footwear. 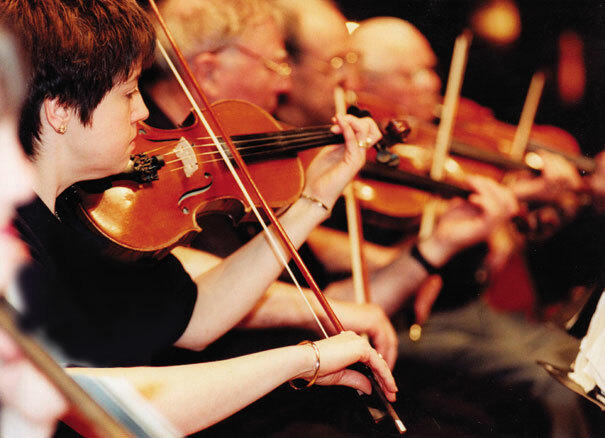 Founded in 1910 the Institute was incorporated in England. 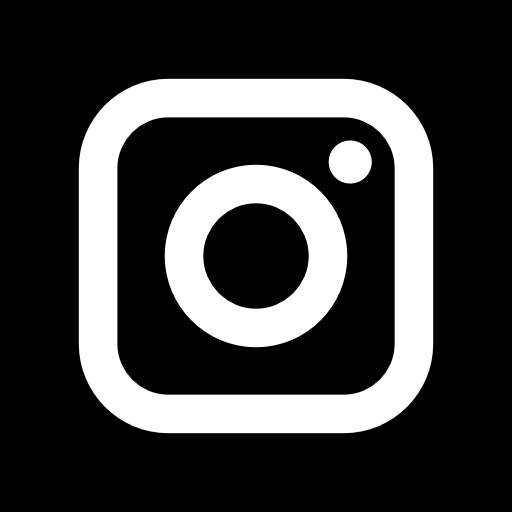 The Institute has Individual and Corporate members in up to 80 countries; membership covers all sectors and all disciplines in textiles, clothing and footwear. The Textile Institute has members in all sectors of fibre-based industries worldwide. 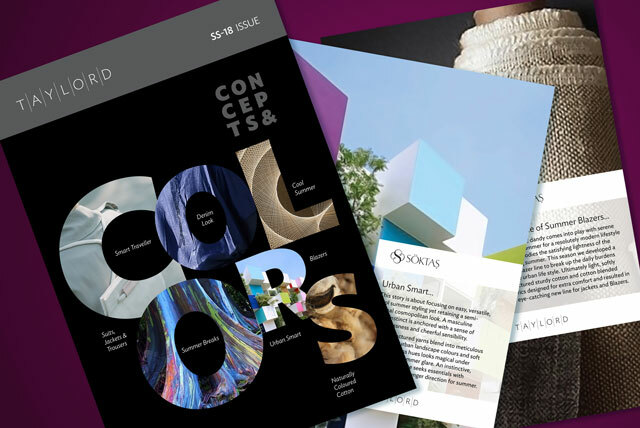 The Textile Institute is the World's leading publisher of periodicals and books for every part of the industry from fiber engineering to fashion retailing, including marketing, design, technology, production and financial management of yams and fabrics and technical textiles e.g; Journal of the Textile Institüte,Textile Progress and Textiles. Using energy efficiently helps organisations save money as well as helping to conserve resources and tackle the climate change. ISO 50001 supports organisations in all sectors to use energy more efficiently, through the development of an energy management system (EnMS). 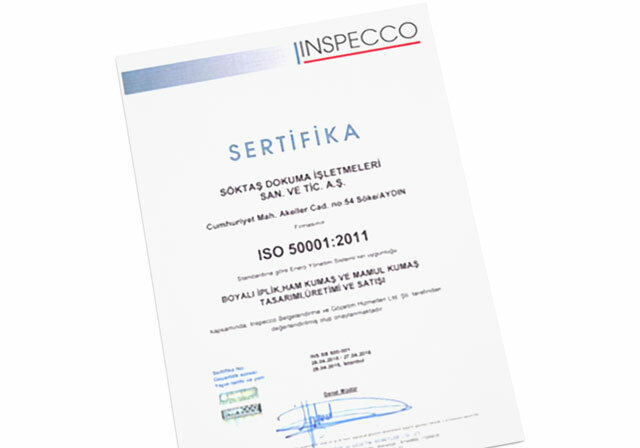 ISO 50001 certificate specifies requirements for establishing, implementing, maintaining and improving an energy management system, whose purpose is to enable an organisation to follow a systematic approach in achieving continual improvement of energy performance, including energy efficiency, energy use and consumption. • Continually improve energy management. 2016 Spring Summer Collection is all about dreams. 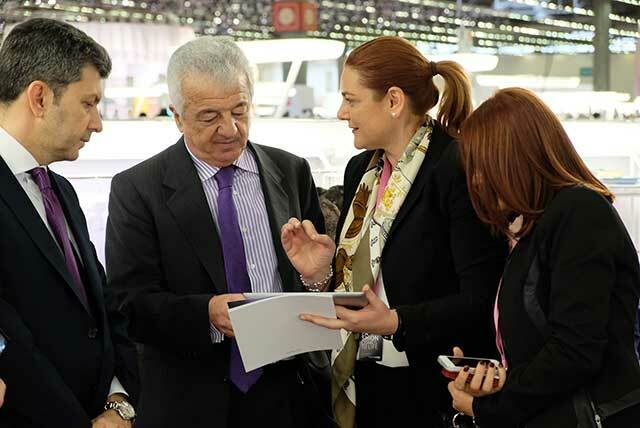 His excellency Mr. Hakkı AKİL, Ambassador of the Republic of Turkey to Paris - FRANCE, visited our stand in Premier Vision. 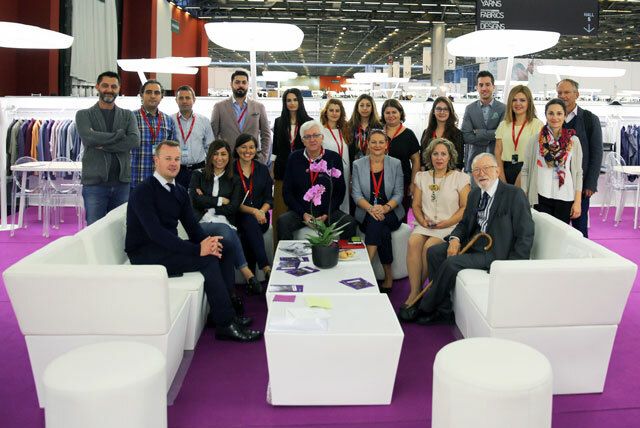 It was a great honour to welcome his excellency Mr.Hakkı AKİL and Ms. Sultan TEPE, Board member of ITKIP (Istanbul Textile and Exporters Association) in our stand together with many high profile visitors. 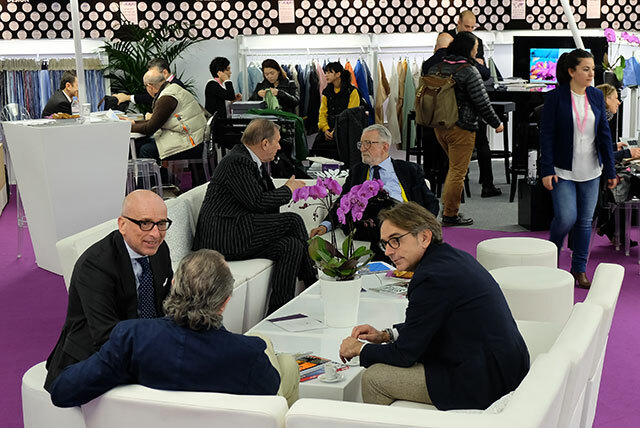 They showed great interest to our new S/S 2016 collection particularly in unique Meander 71 shirting range, as well as the Taylord fabrics for jackets and trousers. 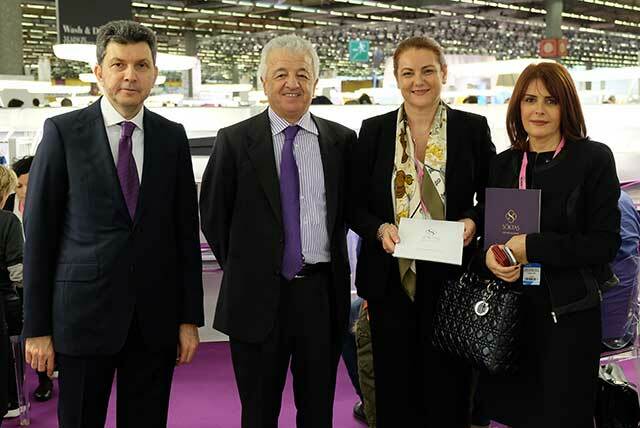 On behalf of SÖKTAŞ, Ms.Seyhan Aktemur Vice President, Marketing & Product Development, informed our high profile visitors about our unique products. 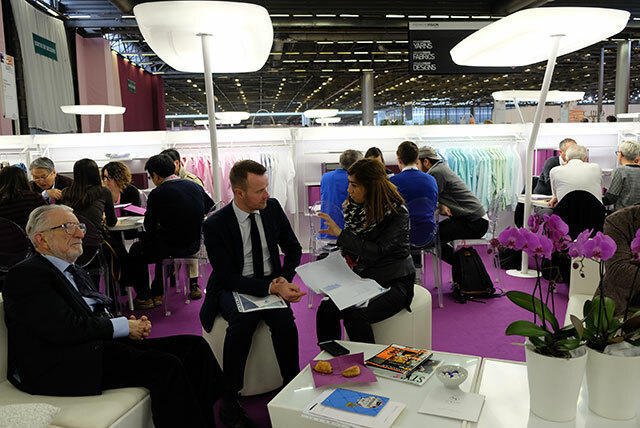 SÖKTAŞ presented it’s Spring Summer 2016 collection at Premier Vision Paris Show in February 2015. It was such a great pleasure to welcome visitors from all corners of the globe. Our stand was the popular stop by the visitors and they showed great interest to our new collection for Spring Summer 2016. Early reaction to our new collection has been extremely positive both for shirting collections and the TAYLORD fabrics for jackets and trousers. Isetan Shinjuku Men’s and Nihonbashi Mitsukoshi introduced Söktaş Meander 71 range. This fall Isetan Shinjuku Men’s and Nihonbashi Mitsukoshi has started made-to-measure shirts program with an Exclusive designs of Soktas Meander 71. This premium range is distributed with “Meander 71 by Söktaş” branded woven selvedge which is the synonym of style, luxury and exclusivity. Autumn - Winter 2015-16 Collection is reflecting soft values such as sincerity, appreciation, genuine affection, ability to influence. 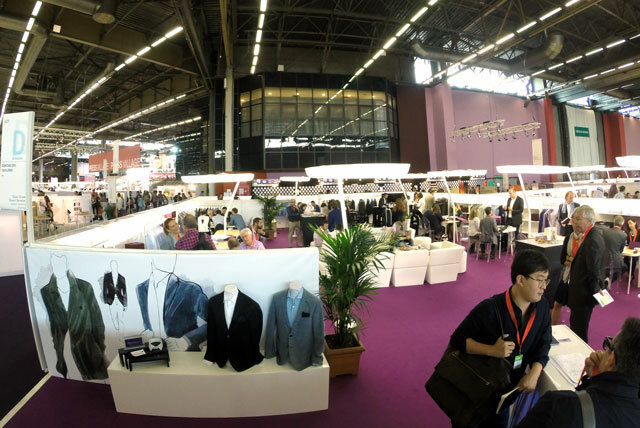 SÖKTAŞ presented it’s Autumn Winter 15-16 collection at Premier Vision Paris Show in September 2014. It was such a pleasure to see the overwhelming reaction to our new collection for Autumn Winter 15-16. 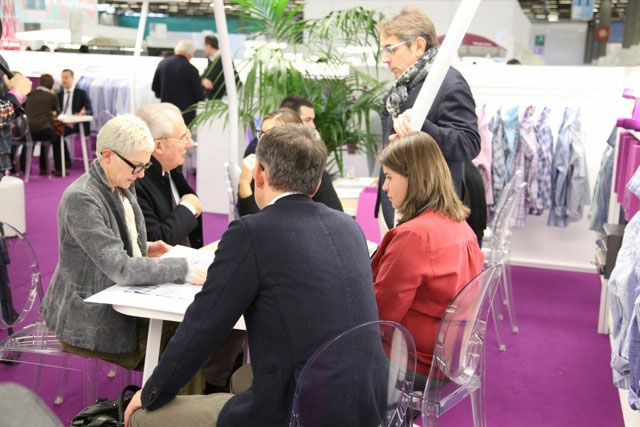 Visitors showed great interest to our new PREPPY and GRACE Collections as well as the TAYLORD fabrics for jackets, trousers and trench coats. 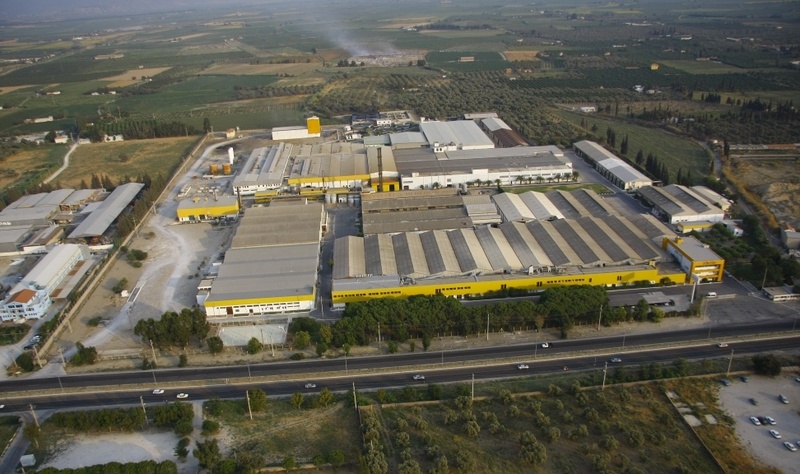 Biella, 14 July 2014- SÖKTAŞ has opened its warehouse facilities in Biella ITALY. 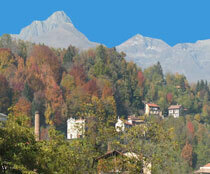 SÖKTAŞ is pleased to announce the opening of it’s Italy branch and warehouse facility in Biella, Italy. Light filled, office for our creative design team, modern space for our designated MTM sales & marketing team and a big warehouse... All under one roof to create a synergy and ensure to give best local service to our European clientele. 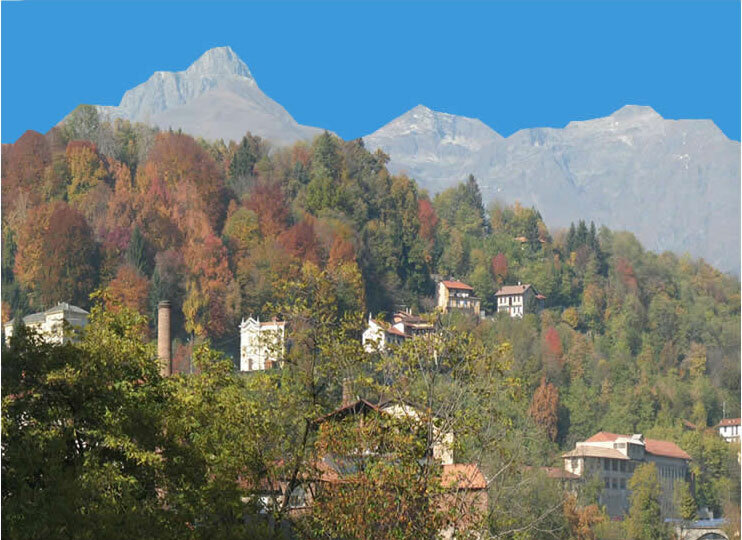 Biella exerts a significant impact upon Italian commerce, design and textiles, therefore we have started our operations with an important action plan for our European made to measure customers. This is a major step for us and our European customers, as a local service we ensure to provide continued and focused support without bureaucratic custom problems. 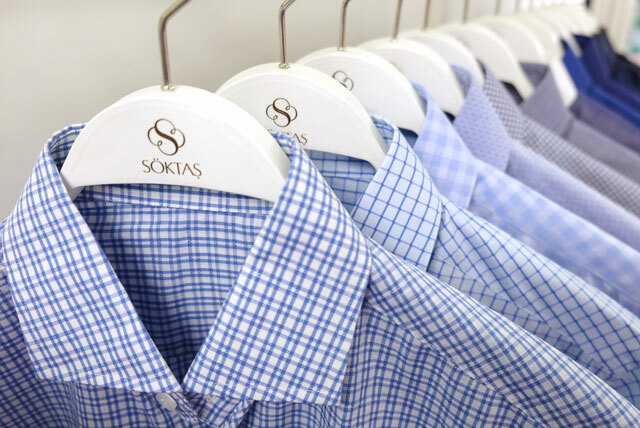 Since 1971, SÖKTAŞ has become one of the leading authorities on luxury shirting fabrics and one of textile’s biggest success stories. Traditions of ancient Aegean cotton growing transformed into a modern industry, that produces some of the finest cotton fabrics in the world. 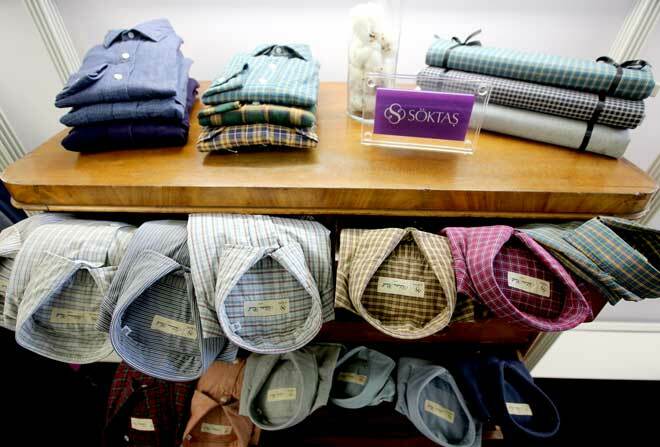 SÖKTAŞ brand has earned its sartorial chevron with an undoubted commitment for producing truly individual, exquisite bespoke fashion and became synonymous with luxury shirting fabrics. “The synergy of our heritage and our hard work creates the unbroken chain of fibre to fabric with care and inspiration. We invite you to accompany us on this exciting journey” said Muharrem Kayhan, Chairman of SÖKTAŞ. The new branch with a warehouse area, is the new home to SÖKTAŞ’s precious “Bespoke Selection” collection. 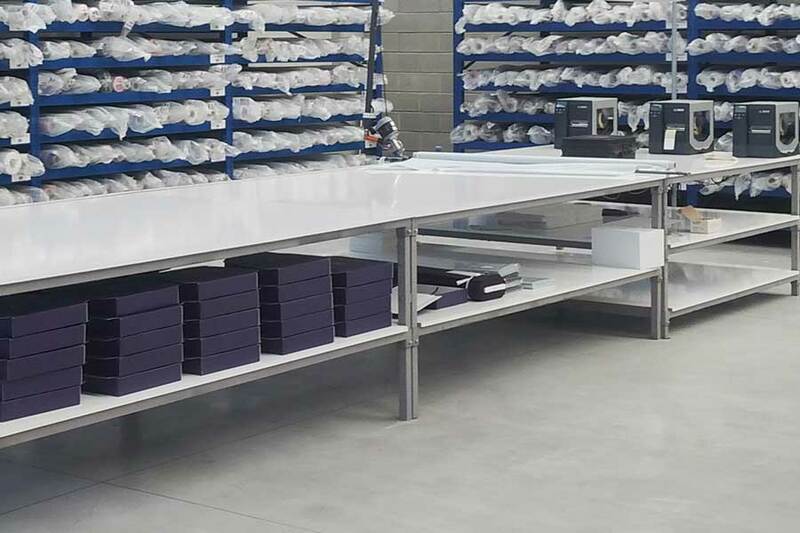 Having the premises in Biella, gives Söktaş customers the benefit of having the stock in Italy, which means a local service to European MTM market, for prompt delivery on the small order sizes and even the cut lengths. SÖKTAŞ takes pride in service excellence and envisaging to make seamless introduction to Europe with a place in Biella. 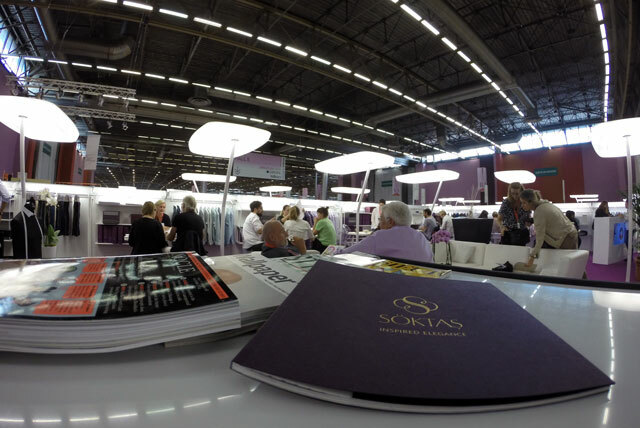 SÖKTAŞ presented it’s Spring Summer 2015 collection at Premier Vision Paris Show in February 2014. Our stand was the popular stop by our visitors from all corners of the globe. It was such a pleasure to see their overwhelming reaction to our new collection for Spring Summer 2015. 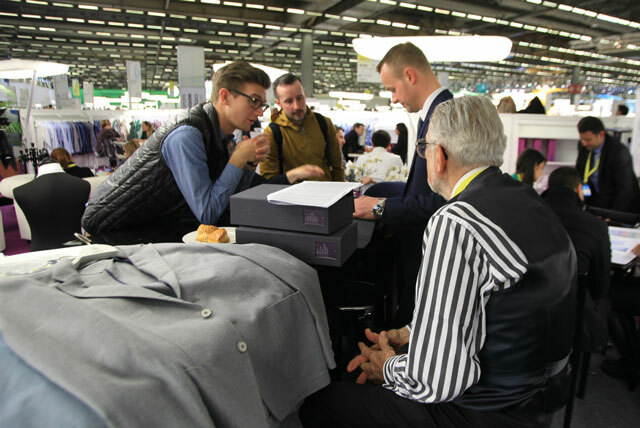 Visitors showed great interest to our renewed NOBLESSE and BESPOKE Collections as well as the TAYLORD fabrics for jackets and trousers. 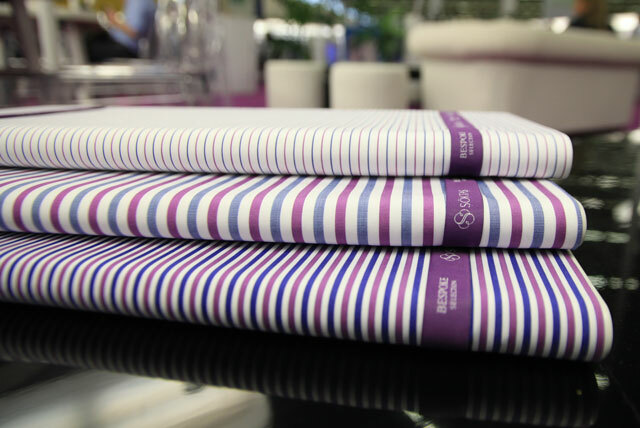 SÖKTAŞ announced the renewal of their exquisite NOBLESSE shirtings catalogue, showcasing refined, luxurious, noble classics, as well as ultra-fine fabric bases and special finishes with sophisticated simplicity. NOBLESSE range is designed with fineness in mind. This super-premium collection of classic designs are spun of the ﬁnest Egyptian Giza cottons, with yarn counts of Ne 300/2, 240/2, 200/2, 170/2 and 140/2. “Fineness of yarns, new technological capabilities and luxurious cotton blends allowed us to execute patterns that were once not possible. This is not just an ordinary collection, it is something that does not contemplate any imperfections at all” said Vice President - Marketing & Product Development, Seyhan Aktemur. The new NOBLESSE is an aesthetically precise range and has an exquisite structures in utterly classic colours.The collection reflects intense care & attention to detail and almost obsessive meticulousness of the creative and manufacturing processes. 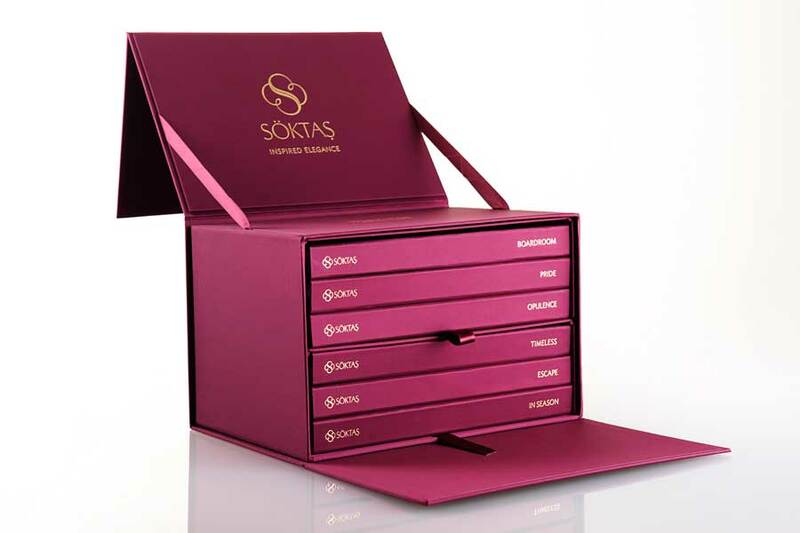 In this wonderfully constructed new collection SÖKTAŞ sets the standard for the most discerning customers. 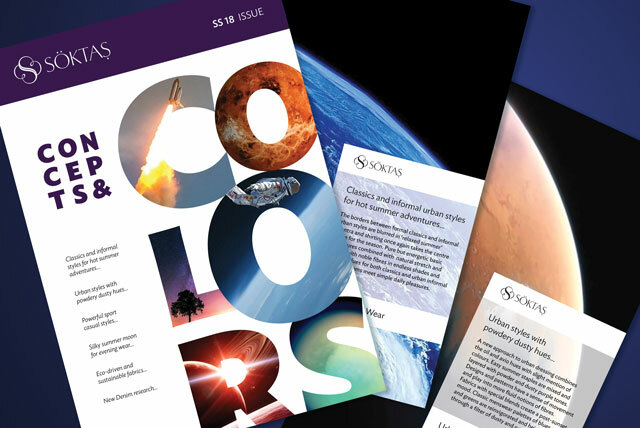 “In our new books, we put our artistic talent, technique and science into service of the best ideas to create high aesthetics. 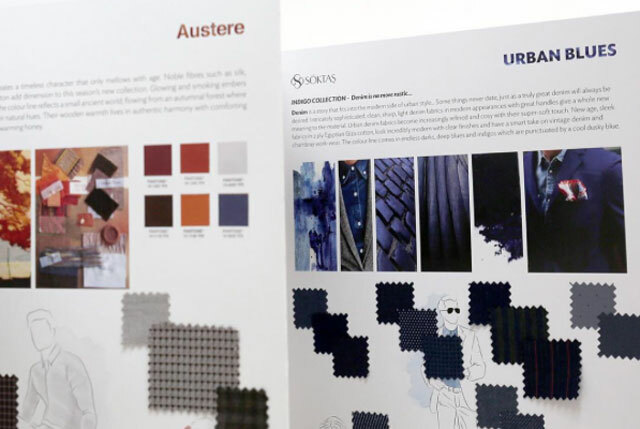 Our focus was on weightless materials, new base fabrics with natural fibres, precious blends and refined details, for people to be able to invest in future classics” said Ms. Aktemur. The range has an increased offer of new, luxury cottons and cotton / silk / cashmere blends in sophisticated, elegant weaves and colours suitable for any occasion. 300/2 & 240/2 Ultra-fine fabrics with exquisite designs. 200/2 Elegant designs in extra-fine noble fabrics. 170/2 Beautifully executed intricate structures, utterly classic designs, super-fine, cotton-linen Zephyr bases. 140/2 Timeless classic designs and textures with an unmistakable artisanship. Noble Harmony Extraordinary sensation of cotton, silk and cashmere blends. 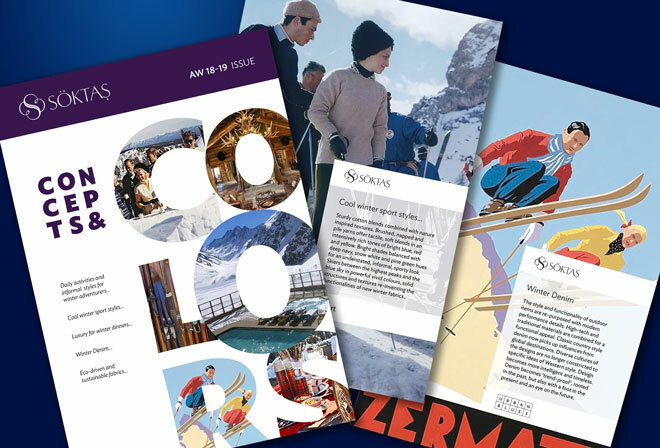 The new catalogues are ever more user friendly with their new casing and presentation. 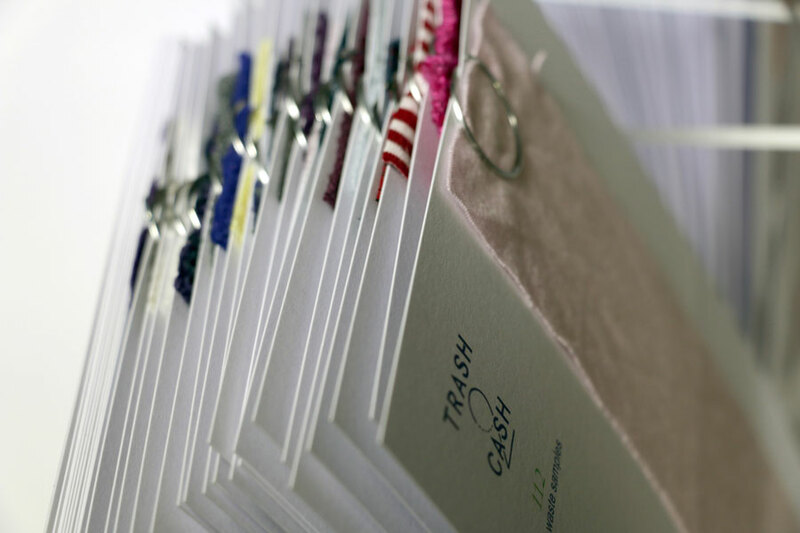 Each yarn count is specified and identified on the spine of each booklet to make the selection easier. 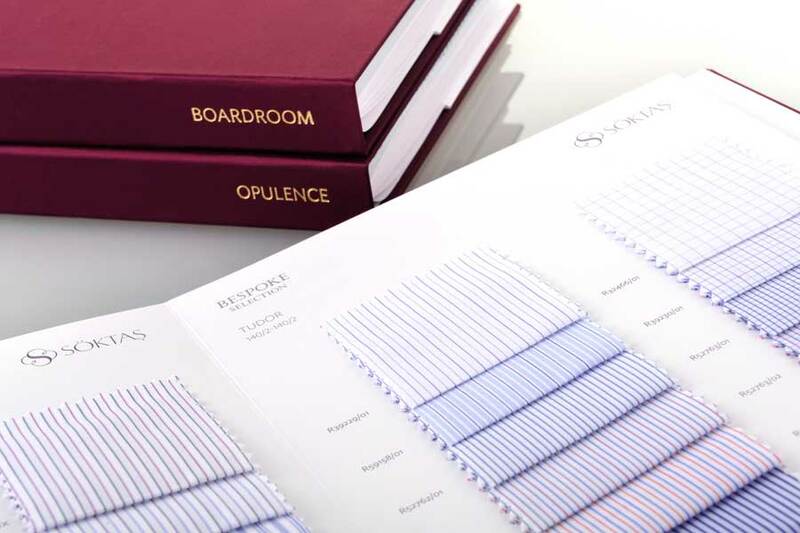 We are pleased to announce the renewal of our sophisticated BESPOKE shirtings catalogue; immaculate, distinctively personal classics in selection of super-fine fabric bases and special finishes, created for customers offering made-to-measure tailoring around the globe. 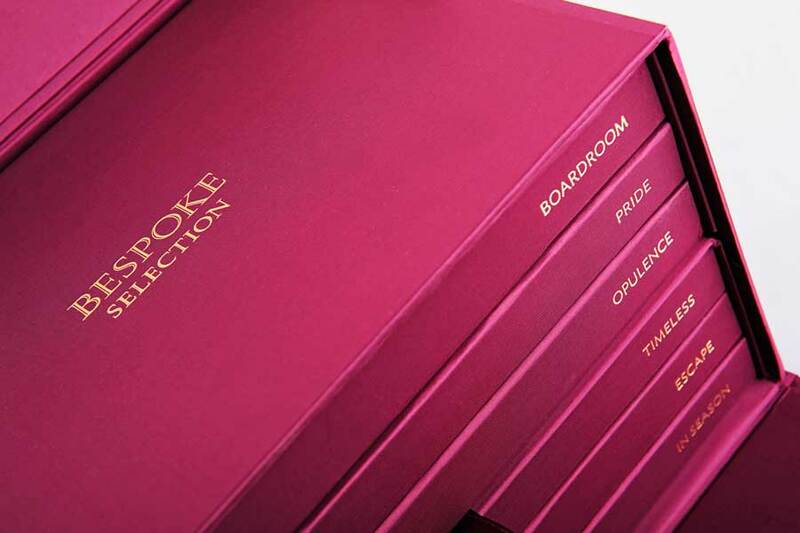 BESPOKE range is designed with individuality in mind. A man can reach high fashion & essential functionality at the same time; he can be very well dressed, in his immaculately fitted shirt, while he is running around between his adventures and commitments. This extremely fine collection of classic designs are spun of the ﬁnest Egyptian Giza cottons, with yarn counts of Ne 300/2, 240/2, 200/2, 170/2 and 140/2. Finest yarns and beautiful cotton blends allow us to execute exquisite designs. This is a sublime collection... From classical to modern fashion look, yarns, textures, blends, compositions create high aesthetics in different styles. The new BESPOKE is an impressive range... Between classical references and modern looks the collection has breathtaking structures in utterly classic colours. 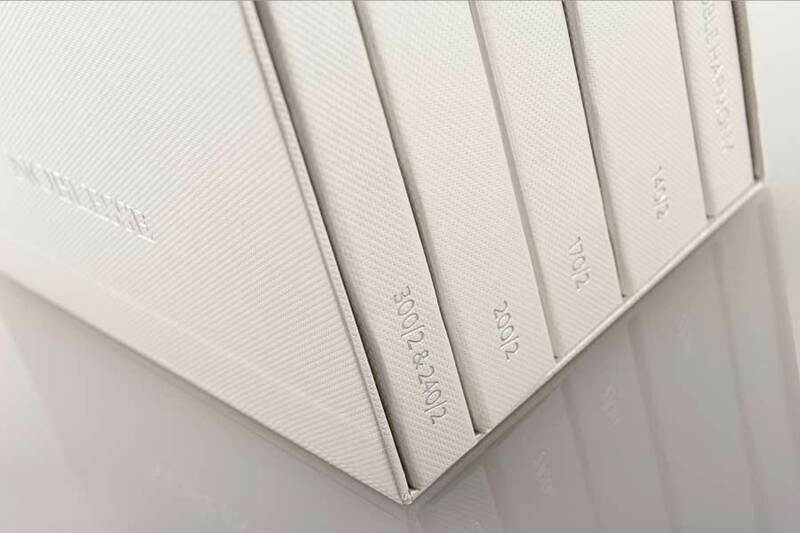 The entire catalogue pays a tribute to quality, intense care and attention to detail. For the most private, individual tastes SÖKTAŞ sets the standard with this wonderfully constructed, immense new collection. In our new books, we generously poured our artistic creativity, technique and science into service of the best ideas to create high aesthetics for bespoke craftsmanship. 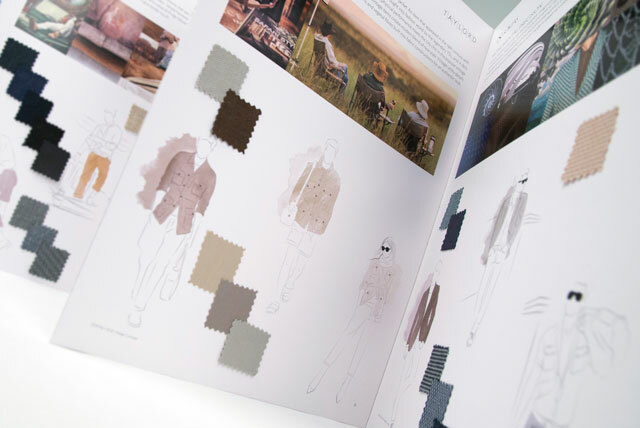 Our focus is on individuality, therefore we offer new base fabrics with natural fibres, precious blends and supreme details, for people to be able to choose for their refined tastes. in sublime, elegant weaves and colours suitable for unmistakable artisanship. in finest yarn counts of Ne 300/2 , 240/2 , 200/2 and 170/2. PRIDE Finest selection of fabulous fabrics in extra fine 140/2 collection. OPULENCE Sophisticated, elegant and rich fabrics bring lavish grandeur for craftsmanship. TIMELESS Exquisite structures in utterly classic colours with soft and silky touch. 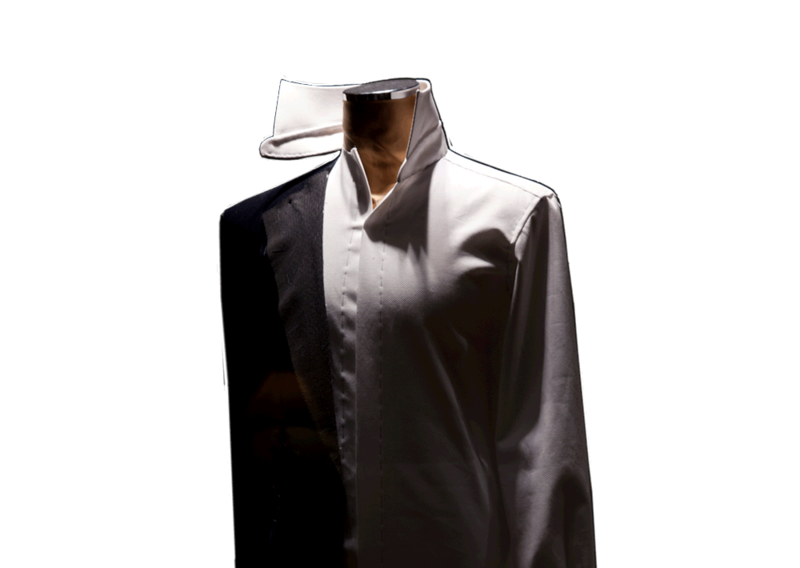 ESCAPE Weekend luxury will have a new meaning with the custom made, immaculately fitted shirt. transformed into pure luxury with rich seasonal colours. 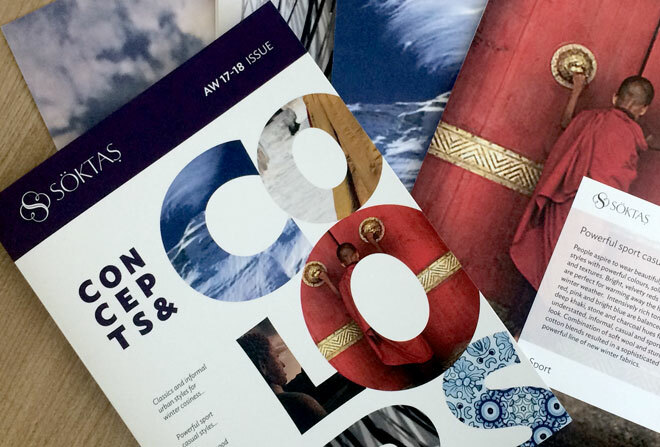 The new catalogues are ever more user friendly with their new casing and presentation. 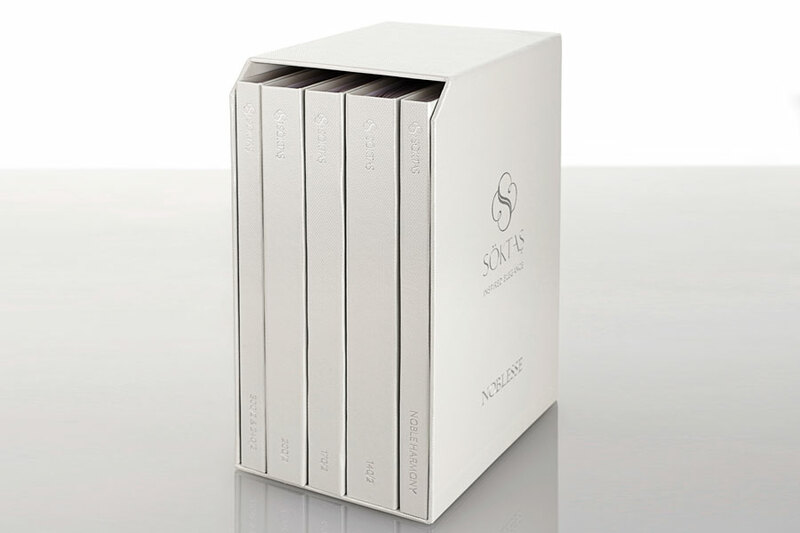 Each collection name is specified and identified on the spine of each booklet to make the selection easier. 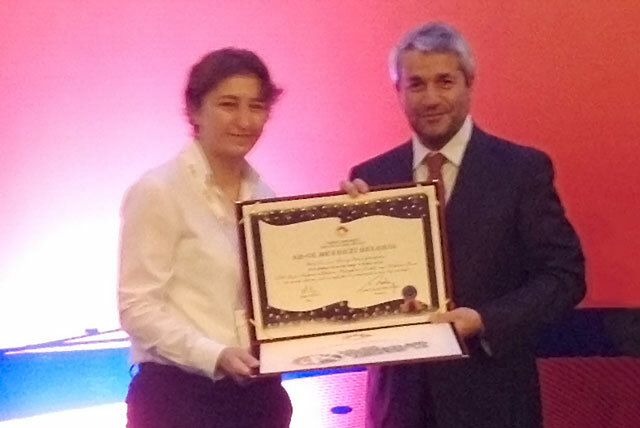 Söktaş attended to R&D Centers Summit in Istanbul between 15-17, November 2013. The agenda of the summit was determined to cover the Role of R&D Centers within the Innovation Ecosystem. 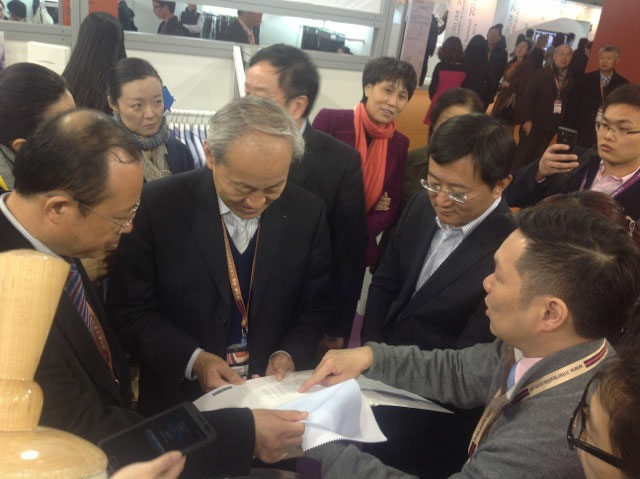 We have participated with an exhibition stand and presented our R&D projects and products. Our success story with Meander 71 project and our approach to R&D was published in ‘Turkish R&D centers Success Stories’ journal. Research and Development is a strategic element of our business and we have been granted R&D License and supported by the Turkish Government since March 2012. During the summit, SÖKTAŞ officially received R&D Centre Certificate from the Minister of Science, Industry and Technology, Nihat ERGÜN. We just started to harvest our Meander 71 cotton for the new season. Once again we are proud and equally humbled with natures gift of Meander 71 cotton. 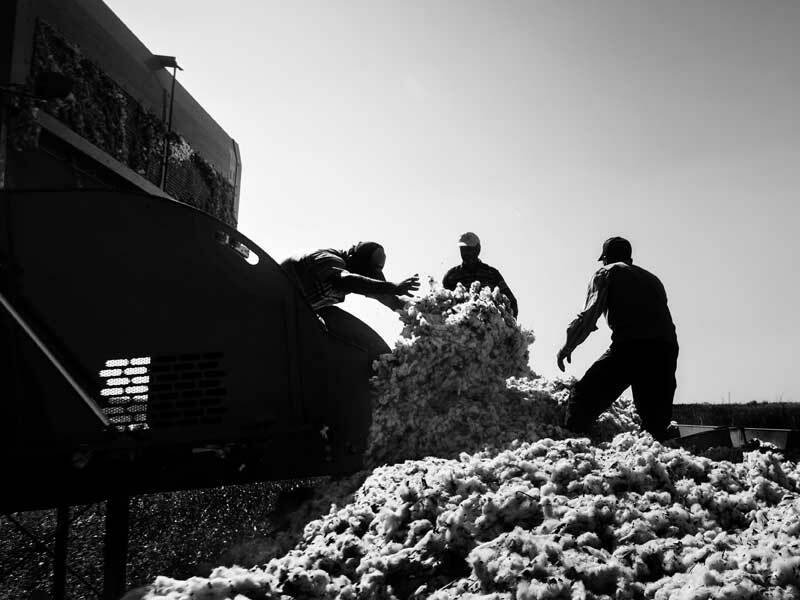 Our new generation of cotton is being harvested right now for a new limited lines of super-fine cotton fabrics. As you all are familiar by now, we actually grow Meander 71 cotton in our own fertile fields, in the heart of Söke valley. All those elements of genetic superiority of Meander 71 and healthy planting, harvesting comes together under the total precision of Söktaş's highest production capacity and design genius. Once we complete our picking, we will soon start processing of uniqe silky yarn and eventually produce fabulous fabrics, for you to wear with pleasure. Keep following us for more news on silky smooth Meander 71. 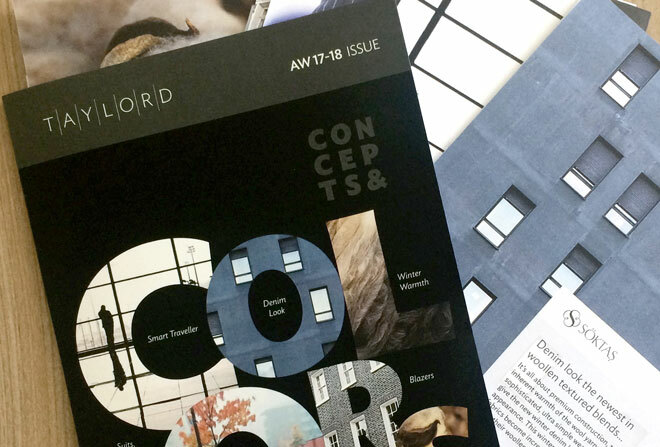 We are pleased to announce the renewal of our Fast Forward shirtings catalogue. Our new books are filled with updated classics, as well as new fabric bases and specific finishes which emphasise fresh colours. The range has an increased offer of new luxury blends like cotton/ silk, cotton/ cashmere, linen, and the unique Meander 71... in sophisticated elegant colours suitable for whatever shape the season takes. The new books also offer our new 'Traveller' range, which is designed with 'travel 'in mind. 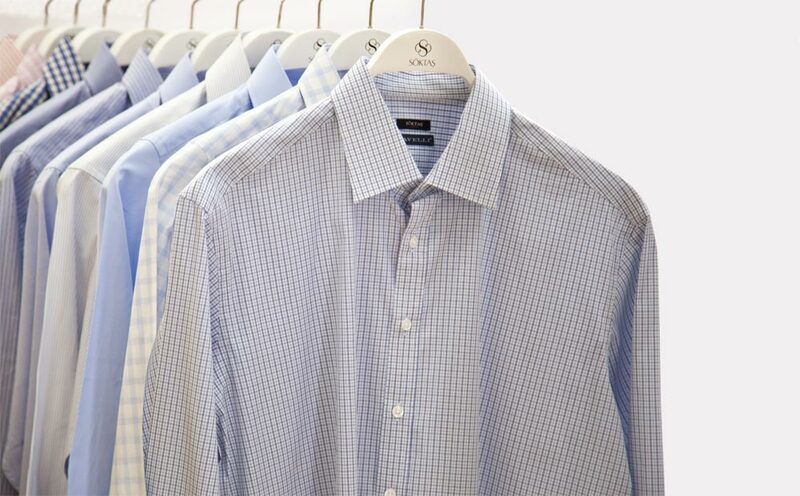 Under the 'Traveller' range we want to make life easier for you by keeping your shirt clean and crisp all day long through your hectic schedules with 'Non Iron' , 'Easy Care' and 'Flat Finishes' which offer wrinkle-free and stay-fresh alternatives without ammonia. Also in our new books we would like to share the organic cotton range with you, Söktaş's proof of commitment to social and environmental responsibility. We translated this commitment into artistic realisation of desirable fabrics. - Essentials, contains luxury fabrics with timeless and elegant designs. - Modern Classic, delivering timeless classics with exquisite fabrics. - Showcase, sensational blends with a range of delicate, beautifully executed bases in line with current trends. 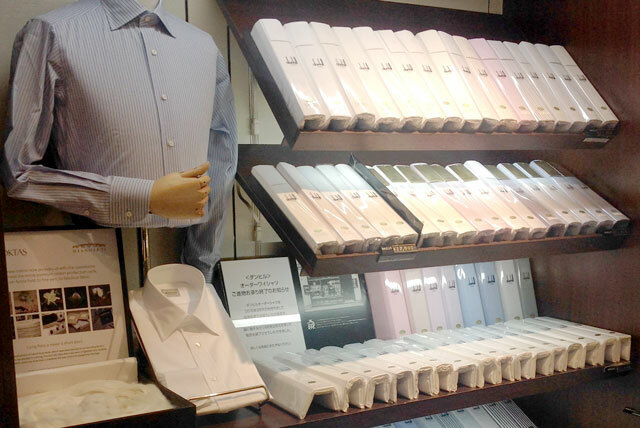 We wish to inspire new shirt portfolios with our elegant new collection. 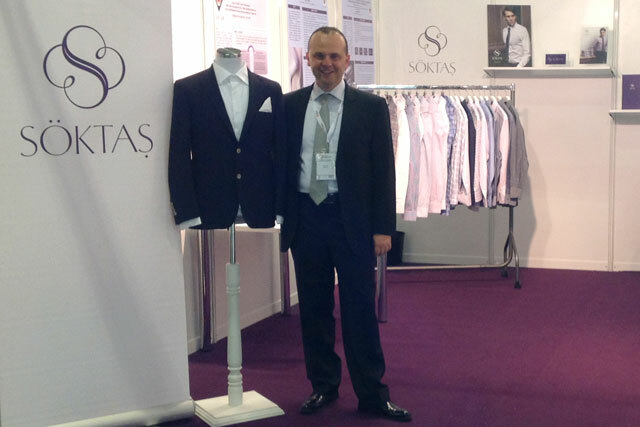 SÖKTAŞ presented it’s Spring Summer 2014 collection at Intertextile Beijing Apparel Fabrics exhibition. 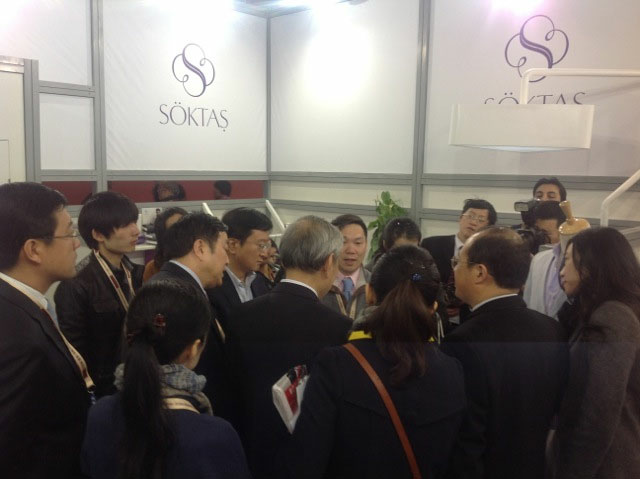 It was a great pleasure to welcome the Chinese authorities in our stand together with many high profile visitors. 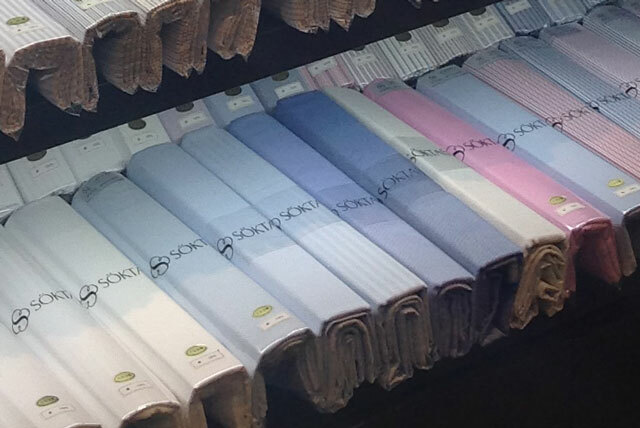 particularly in Meander 71 and Noble Harmony shirting range as well as the Taylord fabrics for jackets and trousers. 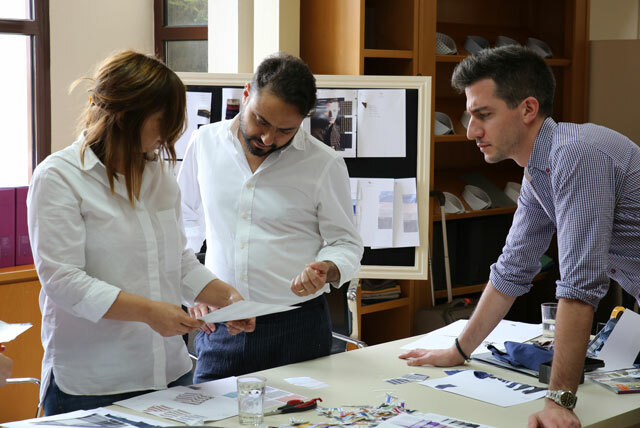 With such an exhilarating motivation SÖKTAŞ design team now works on new collections to come for the next season. 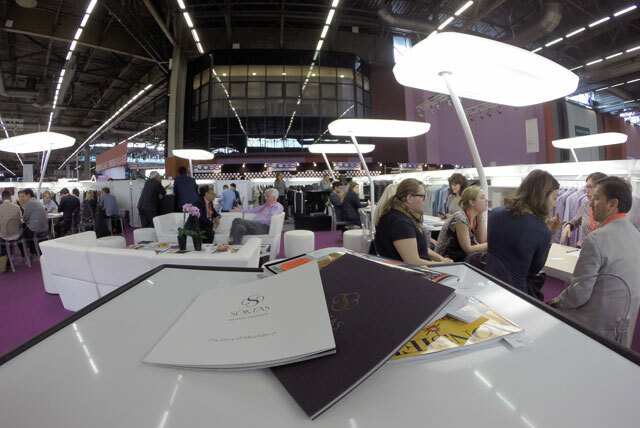 Once again we were at Premier Vision Paris Show in February 2013. Our stand was the popular stop by our visitors from all corners of the globe. It was such a pleasure to see their overwhelming reaction to our new collection for Spring Summer 2014. 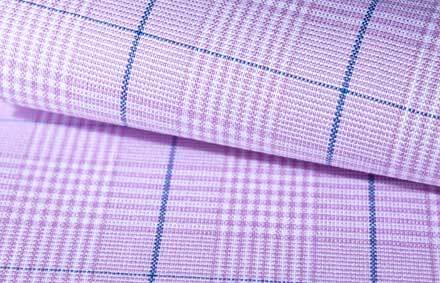 After four decades of producing the finest shirting fabrics, the introduction of a new range of fabrics ushers in a new era; cotton, cotton melange, cotton/wool, cotton/cashmere fabrics for jacket, blazer, suit and pants. 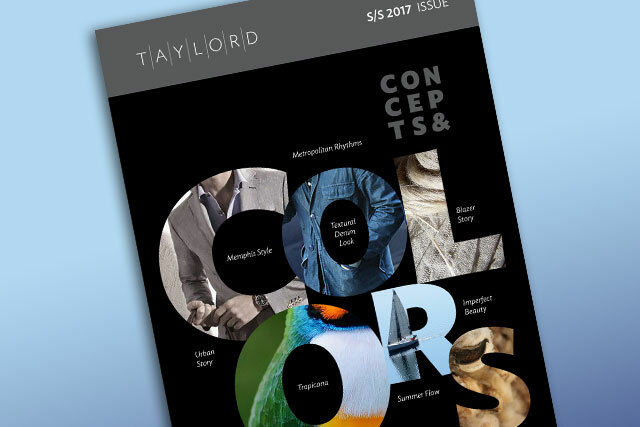 SÖKTAŞ is proud to announce the launch of its new product range TAYLORD, one that has been designed in response to the growing trend for new and contemporary urban clothing. TAYLORD's revolutionary blend of finest cotton and lustrous pile of natural wool gives you the feeling of warmth and cool at once, extraordinary sensation that creates deep emotions. Fabric is breathable and naturally crease resistant thanks to twisted combed yarns which makes it perfect not only for classic tailored jackets but also for jackets without lining. Incomparable finishing treatments give that collection a modern touch which is perfect for a contemporary jacket. Collection also offers an elegant, special occasion ceremonial experience with its luminous fine cotton and its lurex blends. 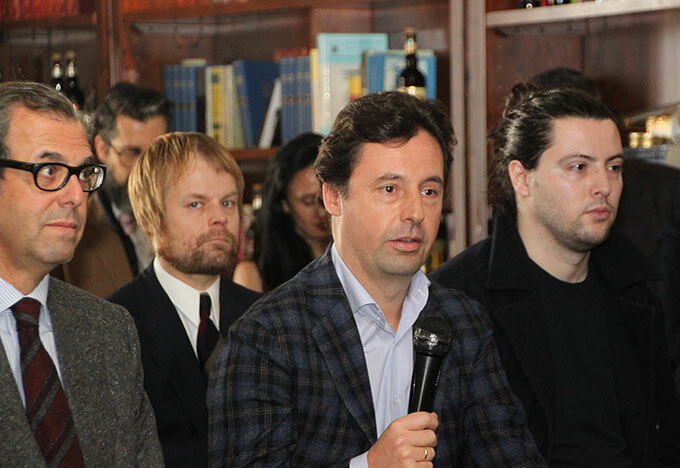 Says SÖKTAŞ’ Chairman Muharrem Kayhan “This major initiative is the result of many months of research and development with our quest to create a product which is totally unique by designs and colours. We hope our customers will take this new article and turn it into a wardrobe full of quality garments. 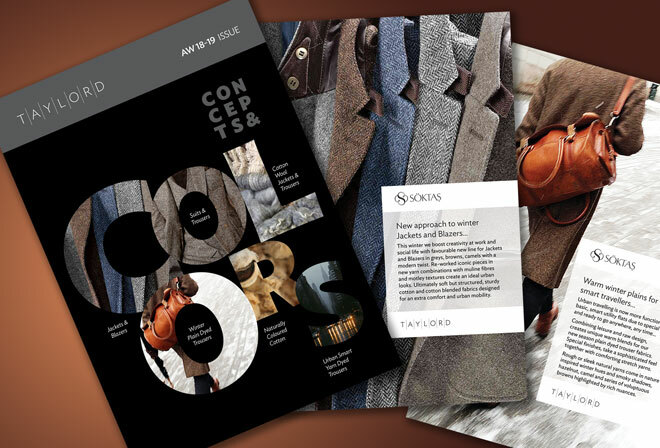 TAYLORD is created in response to the growing trend for new and contemporary urban clothing. Today fast pace business life requires people to dress for the occasion and still be flexible yet look smart, TAYLORD's cotton /wool blend range is light, versatile yet has a semi formal and city smart contemporary look. Our commitment to craftsmanship has earned us the loyalty of our customers “. TAYLORD will be rolled out over the next season and will find its ultimate expression in contemporary clothing. Söktaş Dokuma is proud to announce the launch of its new corporate identity, one that has been designed to embrace and reflect its growing stature in the global market for cotton yarn-dyed shirting fabrics. 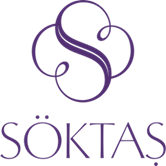 The new Söktaş identity is an artfully simple representation of many aspects of the organisation. At its heart is the corporate symbol, which is both a representation of the letter “S” and of the meandering nature of the river at the centre of the Söke valley in which the company was founded. The totality of the symbol evokes a cotton plant and its structure forms an infinity, which suggests a sense of continuity – of the company’s heritage and tradition as well as in product and service excellence. The thin gold line in the centre of the “S” gives the symbol an added dimension of discreet opulence. In association with the wordmark of Söktaş, which has been created using an elegant font called Young Finesse, the new logo exemplifies graceful, sleek and sophisticated simplicity. The new identity will be rolled out over the next few months and will be used in and on everything that represents Söktaş: from new-style fabric labelling to corporate stationery, promotional signage and flags; from gift bags and boxes, to corporate vehicles and apparel. 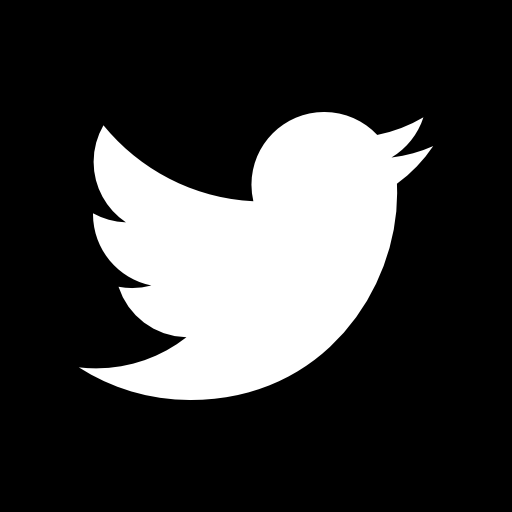 The new identity will be introduced to the widest possible audience across the widest possible number of applications at the earliest opportunity. The intention for the future is that everything that carries the Söktaş name will appropriately reflect the understated luxury that has become the cornerstone of the company’s output. A former professional basketball player, a farmer first and foremost, and a textile engineer to boot. 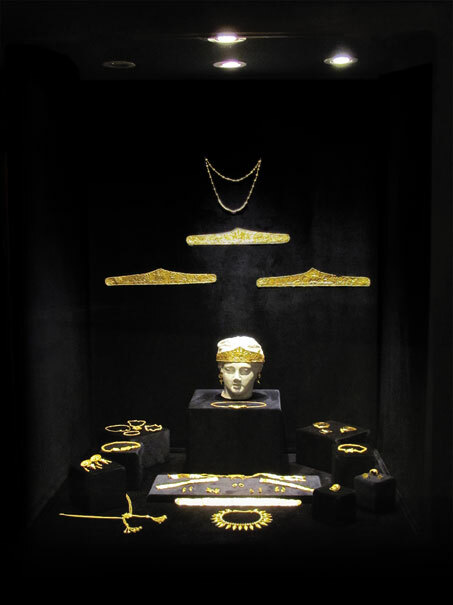 And given that Muharrem Kayhan also holds an American MBA and collects coins from ancient Greece (“500 to 200 BC,“ he adds), there's only one thing to do: go to the Soktas Dokuma stand to learn more about him. He is always there to meet with clients (“even if I do not know the prices of the products,“ he jokes). Muharrem, who joined the company when he was 25, has headed it up since 1981. And to be frank, has no plans to do otherwise. His idea: “retirement in stages, that is to say, one month of vacation per year.“ His method: “a one hour tour, each afternoon, to visit the designers and the marketing people. 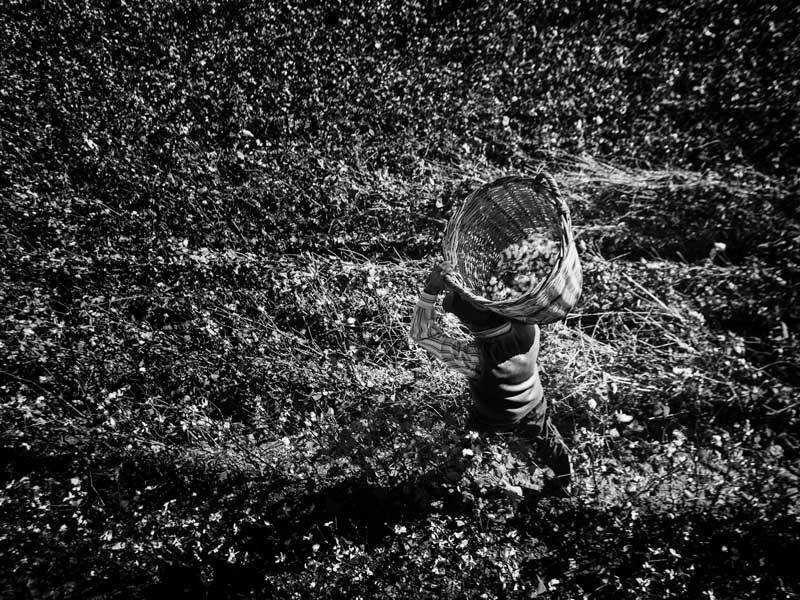 It's all about motivating the troops.“ Cotton, from planting it to weaving it, has run in the family veins for over a century. Sixty years ago, his father sent the fabric metres to Italy to have them printed before selling them in Turkey. The mid-80s sealed the fate of Soktas: shirts, nothing but shirts. Since then, Muharrem's workhorse has been marketing. “Production is sufficient,“ he says. “The important thing is to find customers and satisfy them, to sell and make a profit.“ Case made. Over the past two years, a factory opened in India has been developing sales in the Indian subcontinent and Indochina. “But it's not a delocalisation,“ he points out. In Turkey, 200 hectares of family property are still planted with cotton, and the remaining 600 hectares are made available to 6,000 dairy cows, the source of a new brand of cheese and dairy products: Moova. Today the company is quoted on the Turkish stock exchange, but 75% remains in the hands of the family. The next generation has been gathering experiences abroad (Columbia University in New York, Coca Cola Canada, etc.) But Muharrem is serene. “They'll be back,“ he says. “The land is the heritage, the link that can't be broken, the tie binds you forever. 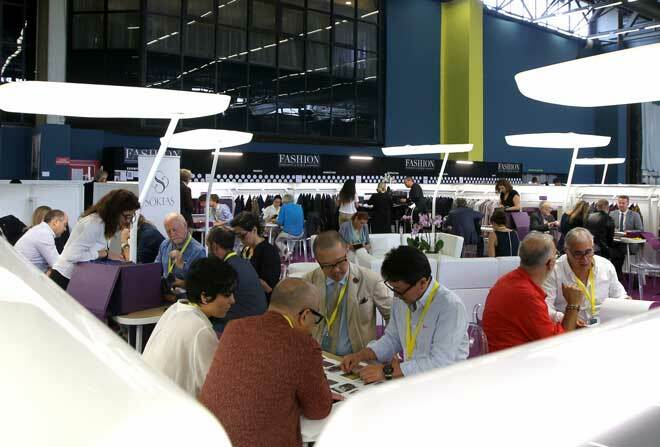 “ From premierevision.com. The 40th Anniversary of Turkey’s premier cotton producer is a fitting moment in time to mark the launch of Meander 71. 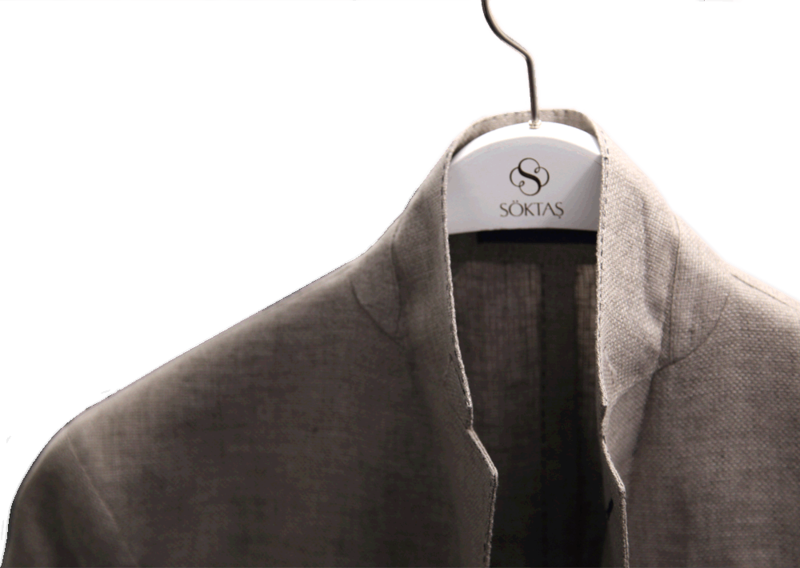 After four decades of producing the finest shirting fabrics, the introduction of a rare and noble variety of cotton ushers in a new era, the culmination of an extensive research and development project undertaken by SÖKTAŞ in partnership with the Cotton Research Institute. 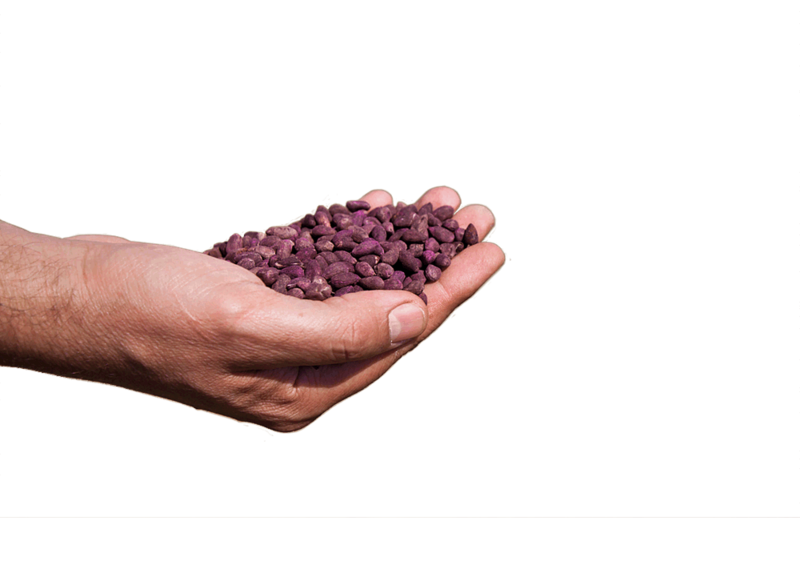 ‘The development of hybrid local seeds, which have been planted on our founding family’s own land, has resulted in a strong, fine and silky fibre that rivals most of Egyptian Giza varieties which, until now, have been considered the only choice for exceptional shirtings. 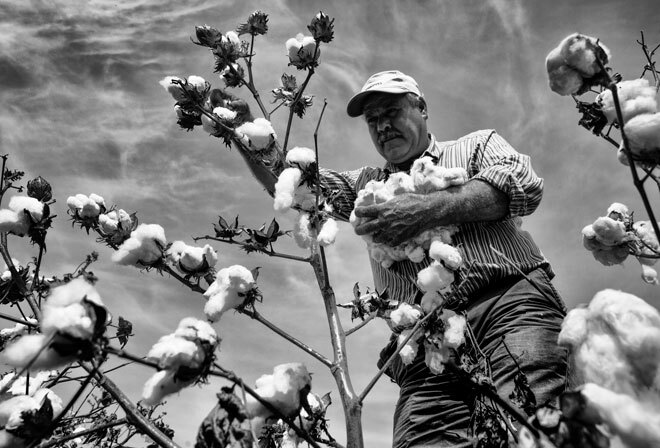 This new cotton now provides us with the opportunity to harness the entire premium cotton production cycle, from fertile field, to fine yarn, to fabulous fabric.” said Muharrem Kayhan, Vice Chairman of SÖKTAŞ. This revolutionary fibre named after the fertile Meander Valley that many believe to be the birthplace of cotton and which was certainly the birthplace of SÖKTAŞ. The numeric suffix 71 anchors this significant innovation to the birth date of the SÖKTAŞ in 1971. Meander 71 will find its ultimate expression in a special, limited release line of fabrics under SÖKTAŞ’s Noblesse brand. Söktaş will be exhibiting 2020-2021 Autumn - Winter Collection at NH Milano Fiera HOTEL on 09-11 July 2019. Le fabricant de tissu turc s’est associé au tailleur napolitain pour une collection capsule de tissus aussi luxueuse que raf née. 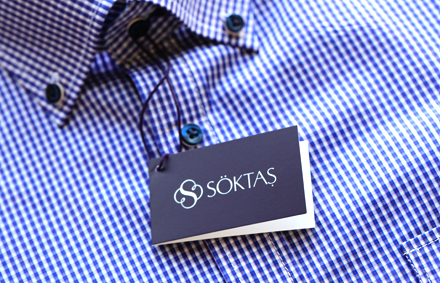 SÖKTAŞ aims to be the world’s best-known fabric brand. A collaborative collection of fabrics from Söktaş is born of a shared passion for bespoke elegance. Two editors in Men's Ex magazine are discussing Meander 71 fabrics. 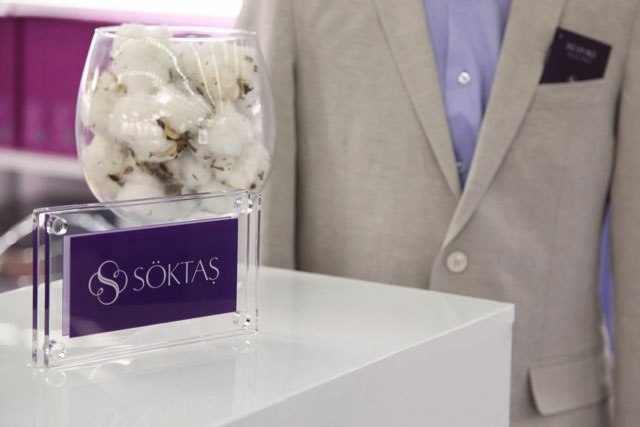 Since 1971, Turkish textile maker Soktas has been researching the unique qualities of cotton, using its knowledge to create the softest yarns. L’excellence de la filature Turque a encore frappé. Avec ses collections de tissus de chemise Noblesse et Noble Harmony, elle démontre une fois encore son grand savoir-faire et sa créativité. 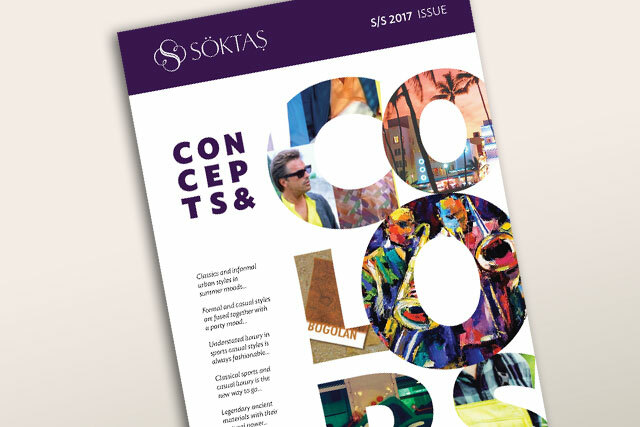 Since 1971, Turkish textile maker Soktas has been researching the unique qualities of cotton and using its knowledge to create the softest of yarns. 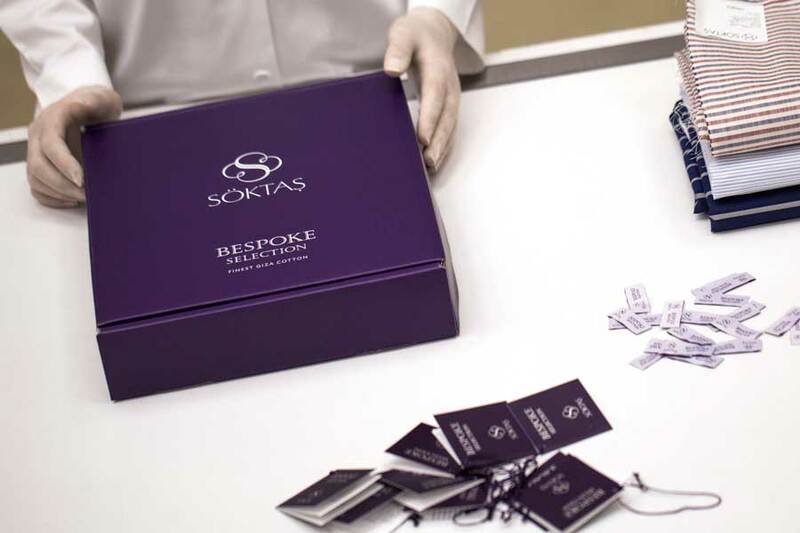 Soktas has a global reputation for premium shirting fabrics made from the softest cotton that stems from its deeply rooted history in Turkey. La fi lature turque a développé un savoir-faire exceptionnel dans la fabrication de tissus de chemise haut de gamme. 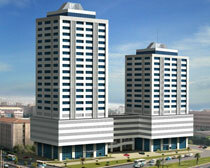 For Söktaş Group financial information please click here. 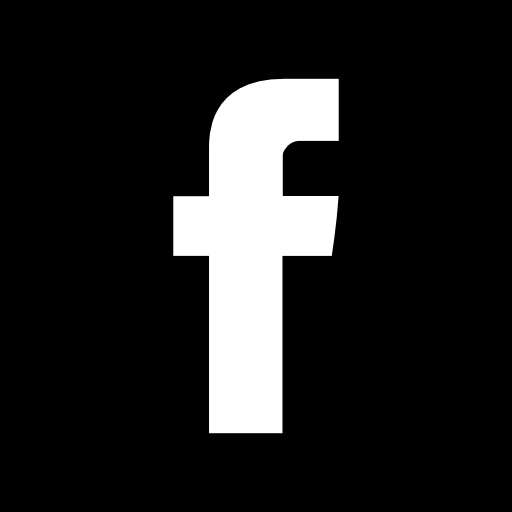 Copyright © 2019 • SÖKTAŞ TEKSTİL SANAYİ VE TİCARET A.Ş. • All rights reserved.